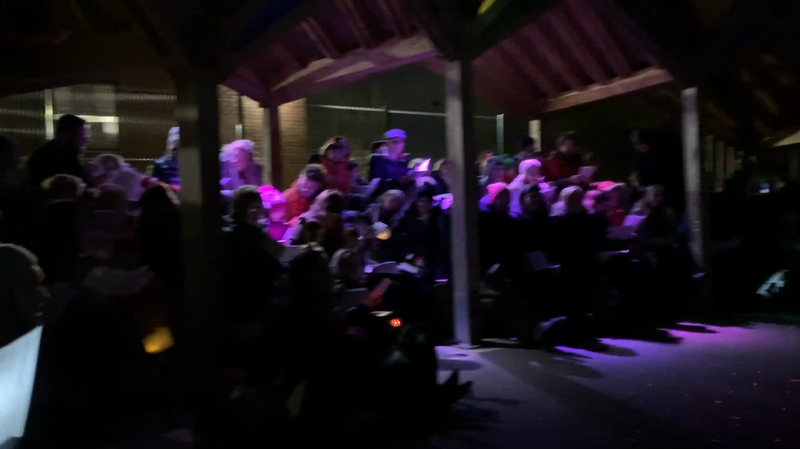 What a fabulous evening yesterday singing carols on the playground. 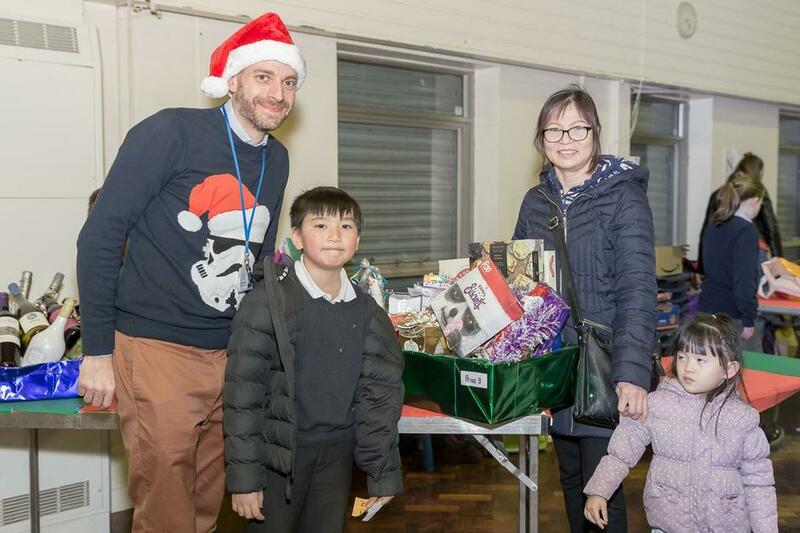 many thanks to Mr Nightingale for providing the speaker and lights and Mr Hodgetts for providing the very exciting snow machine lazer lights. 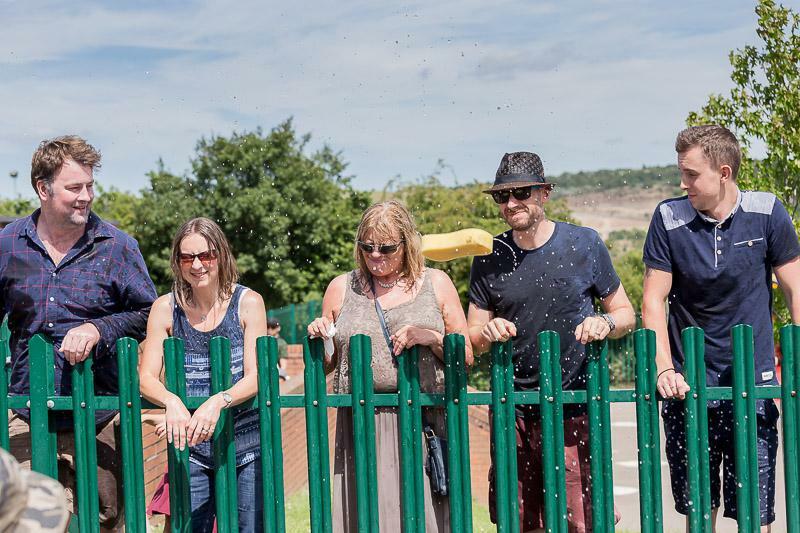 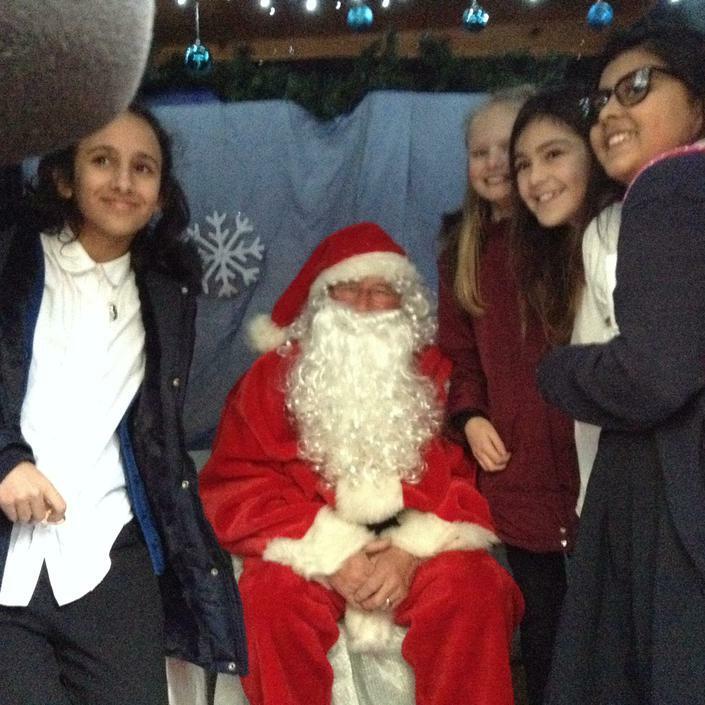 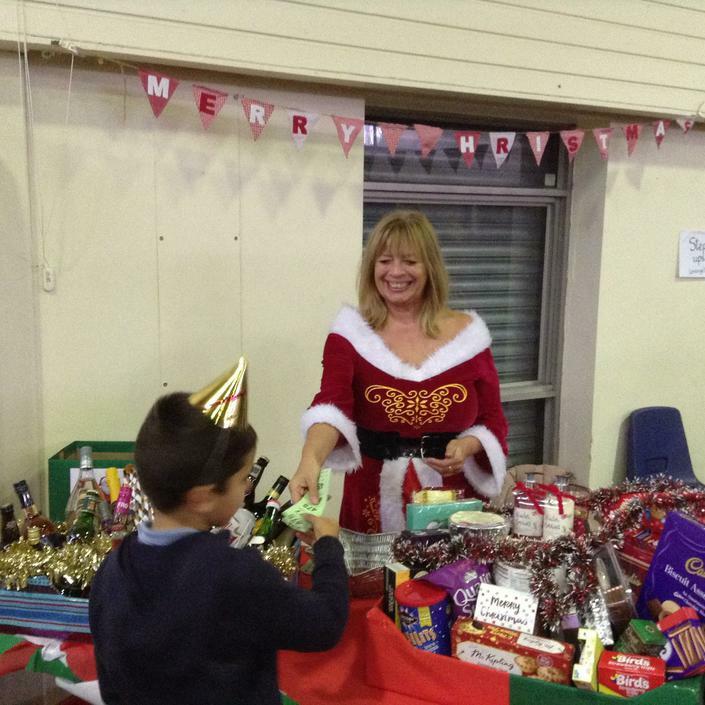 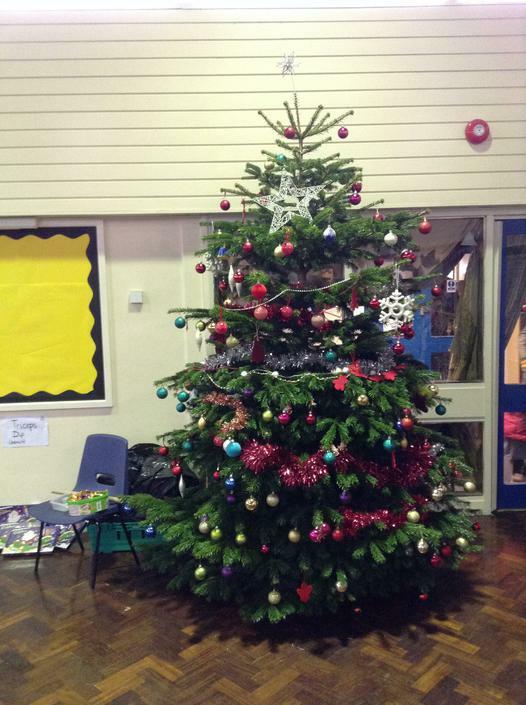 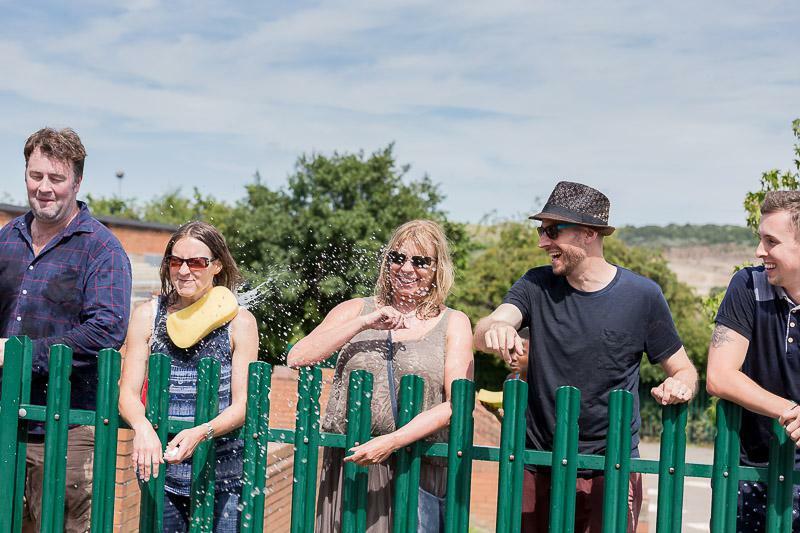 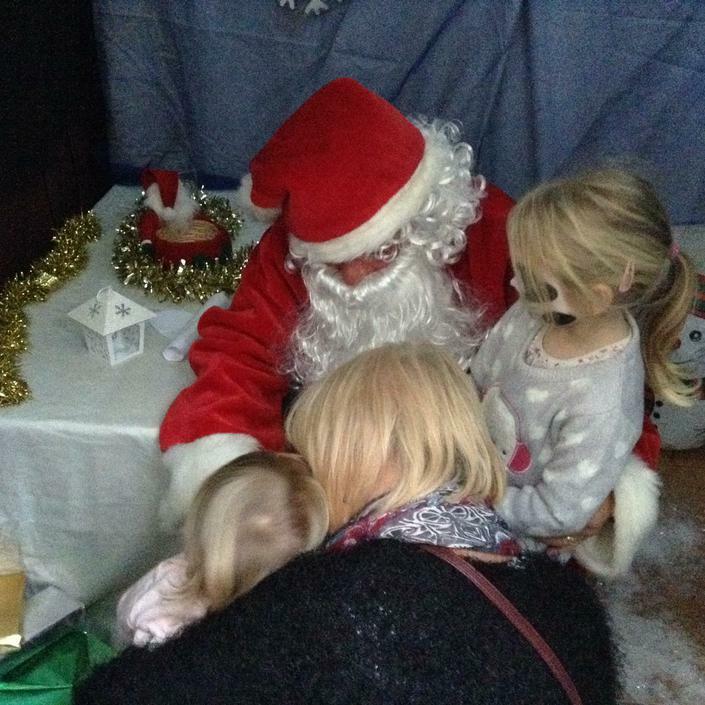 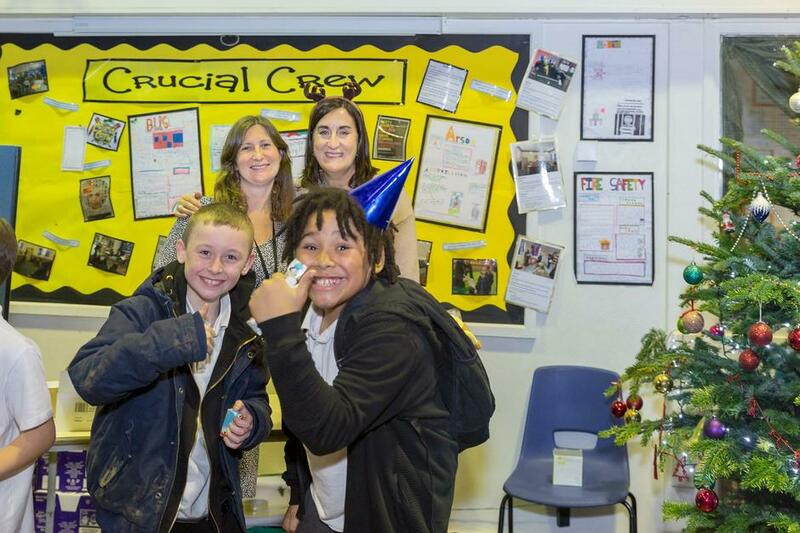 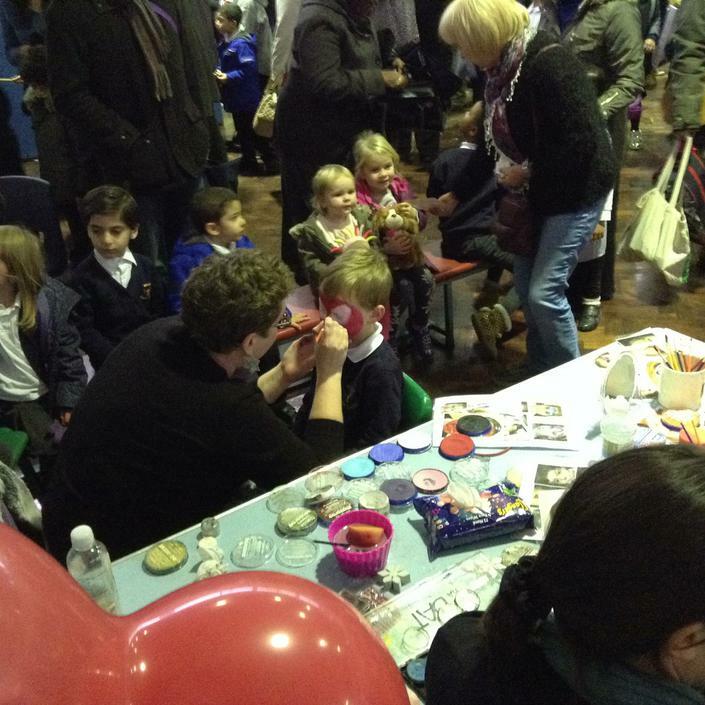 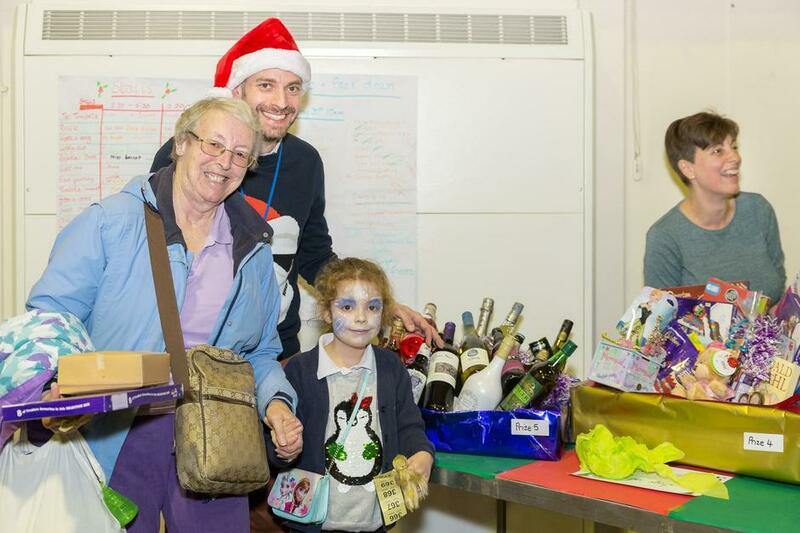 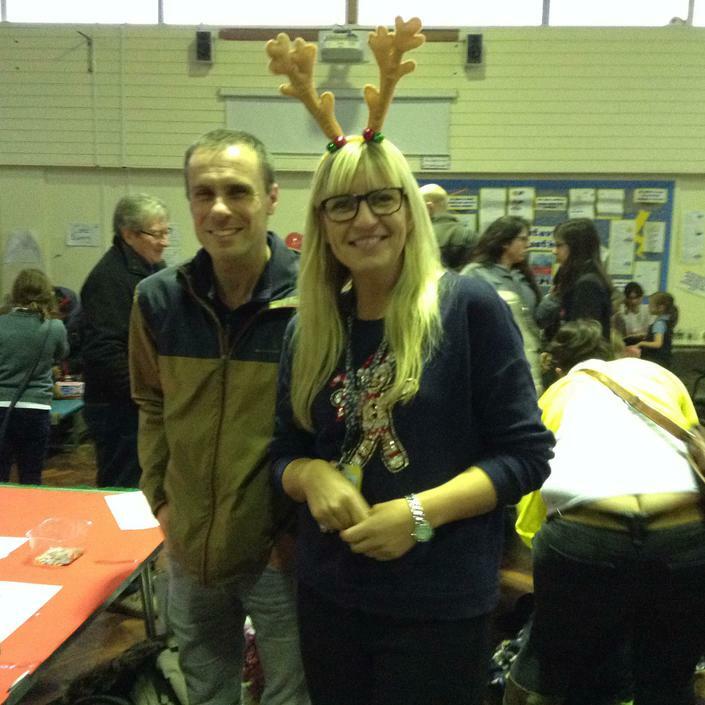 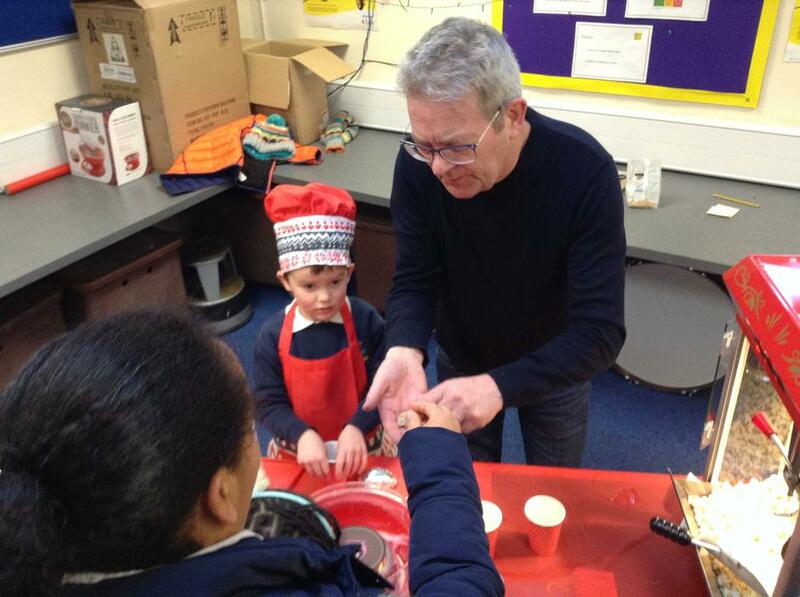 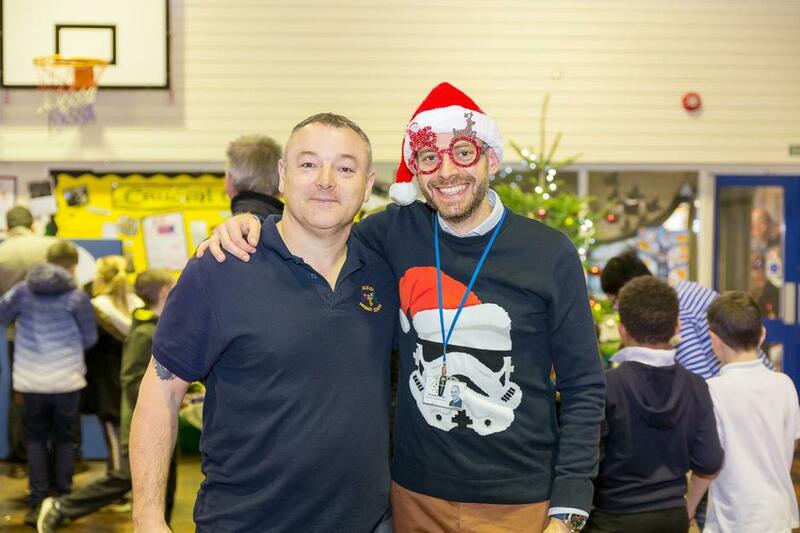 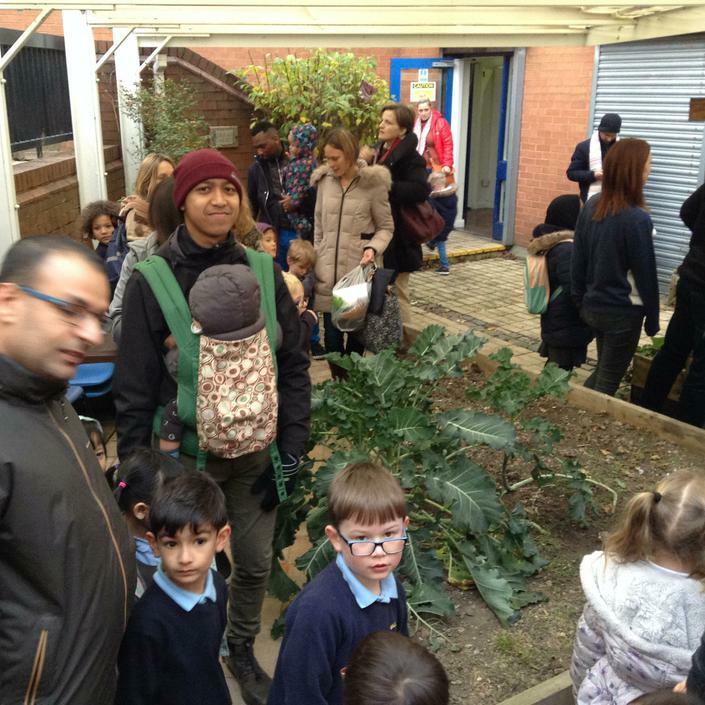 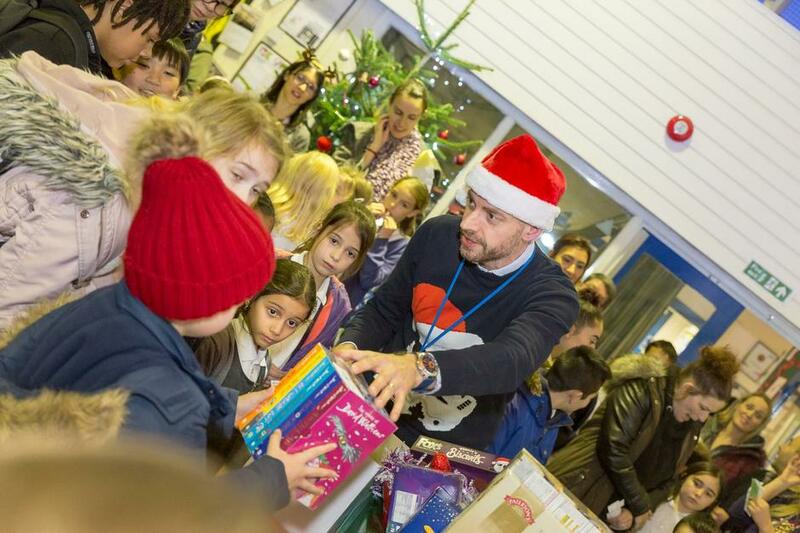 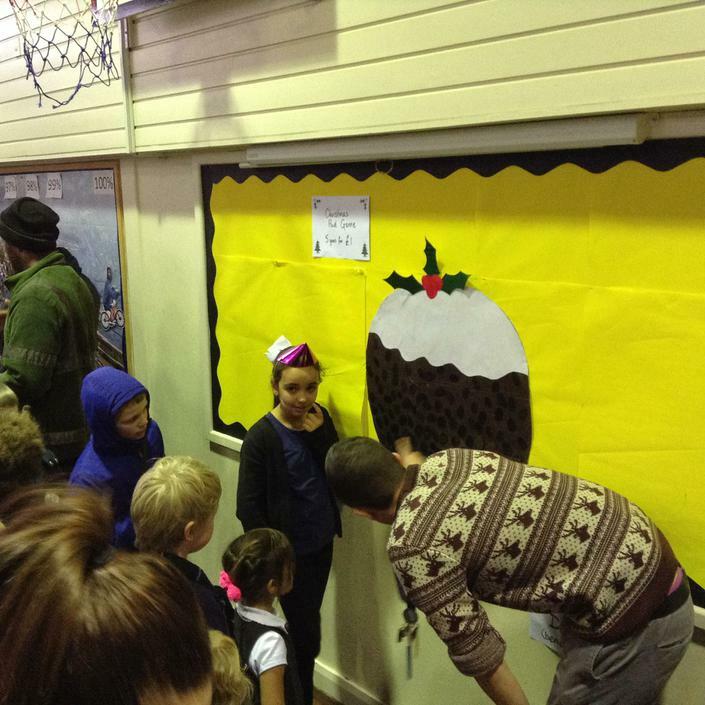 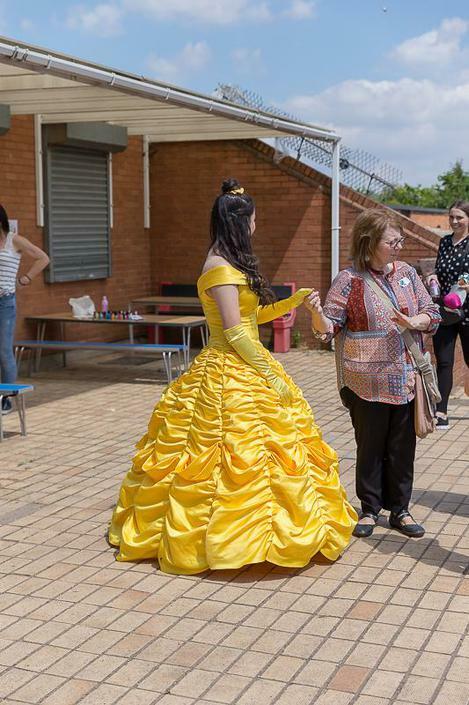 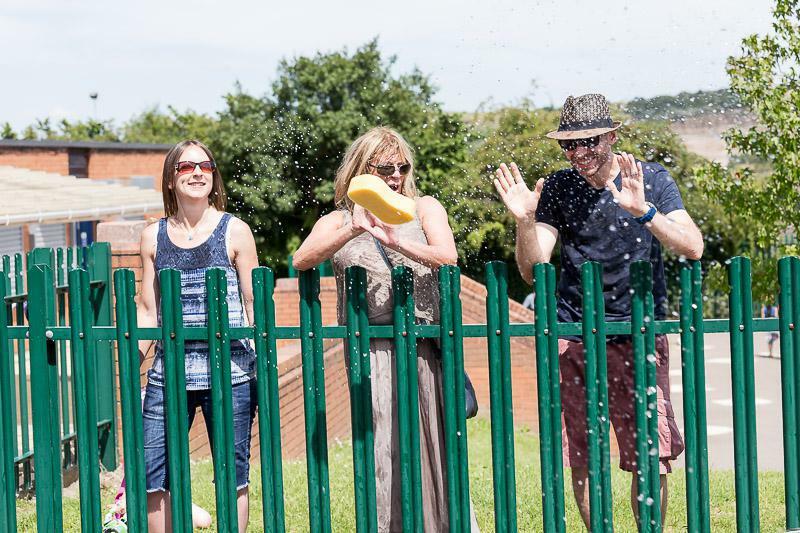 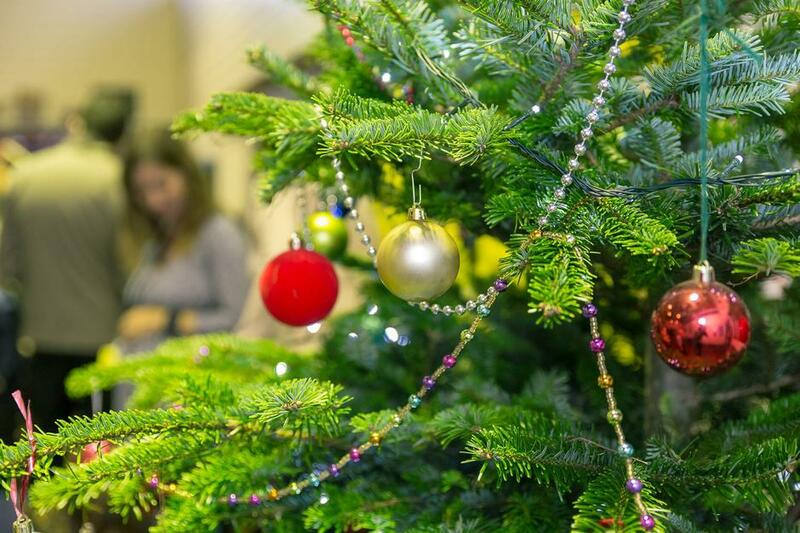 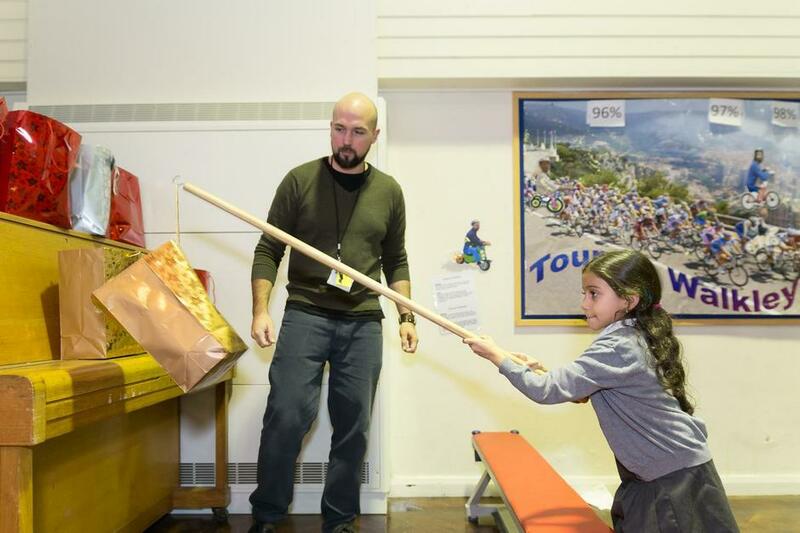 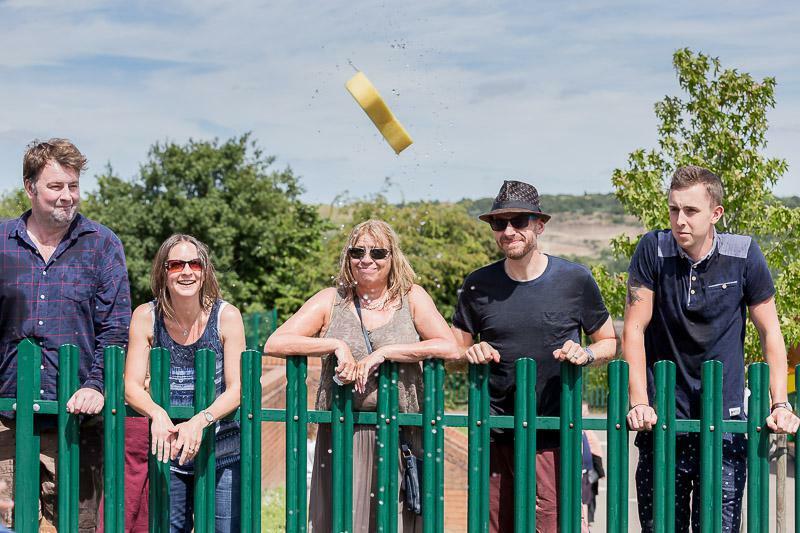 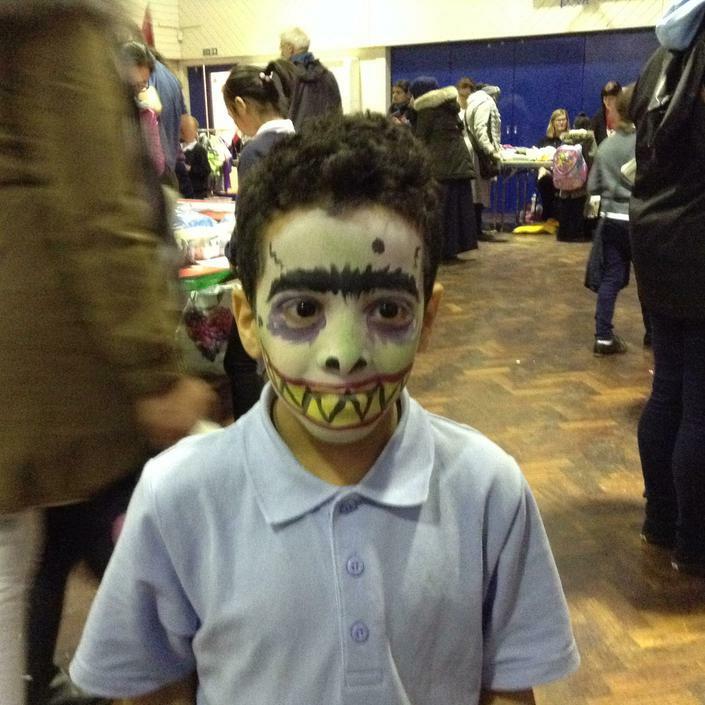 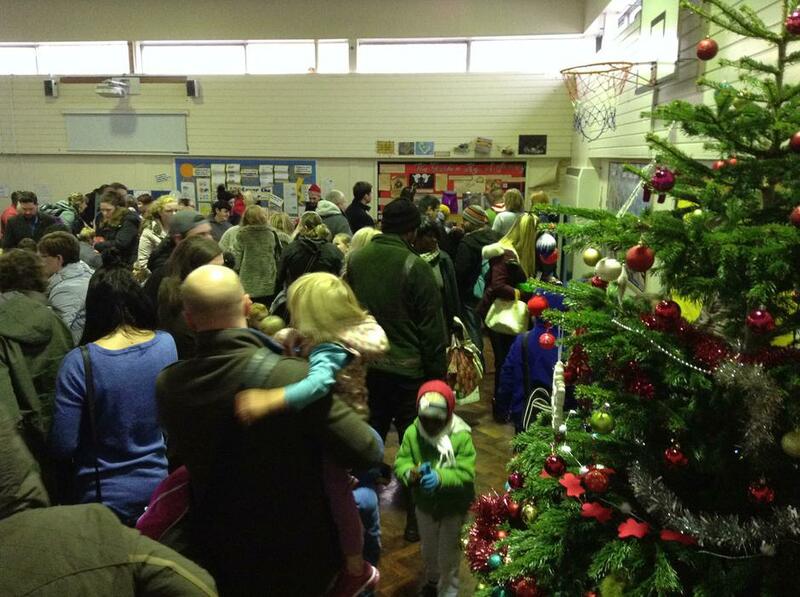 On Friday the Walkley Primary School family gathered to start the festive season in style. 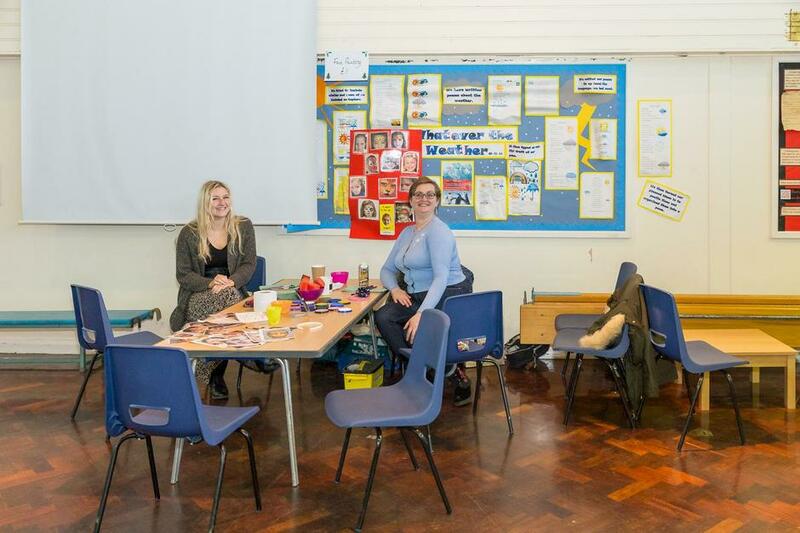 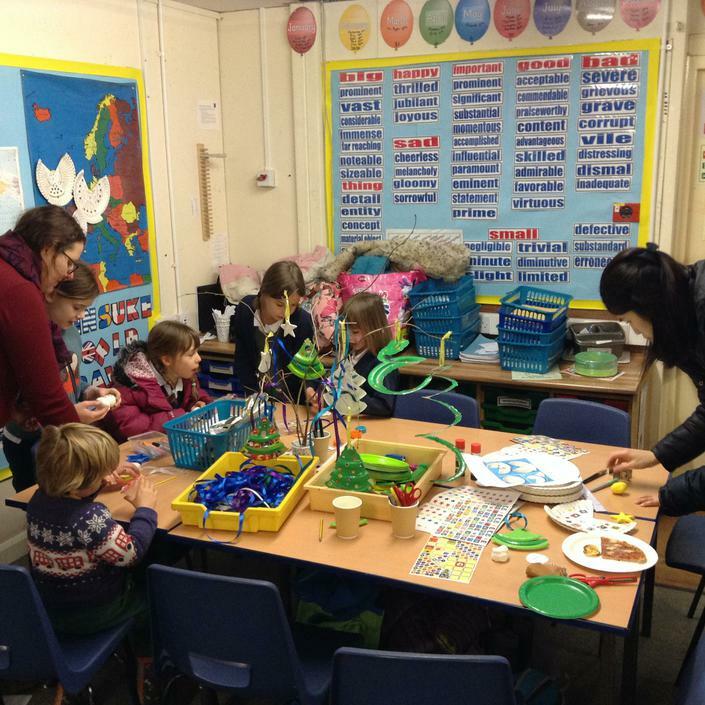 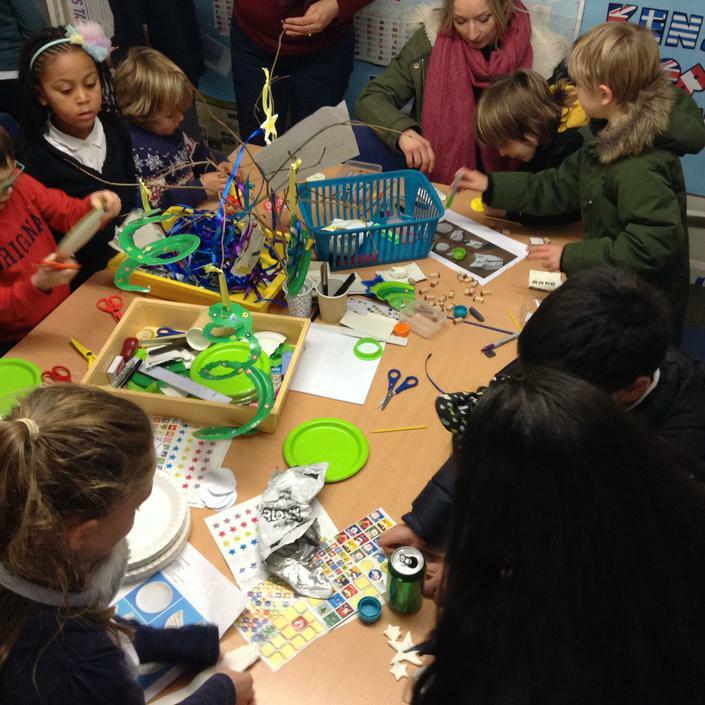 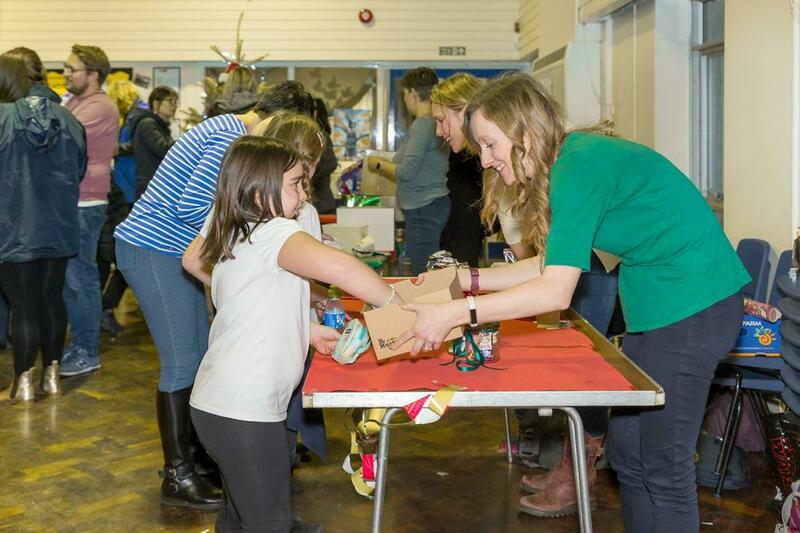 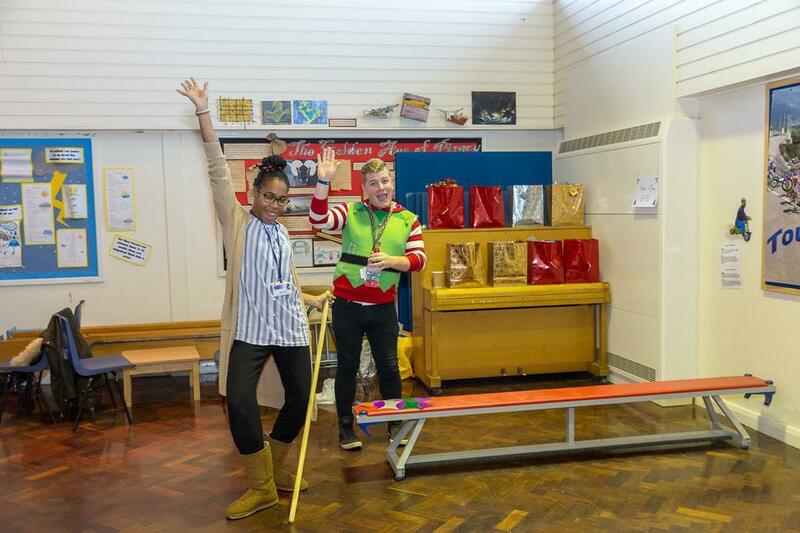 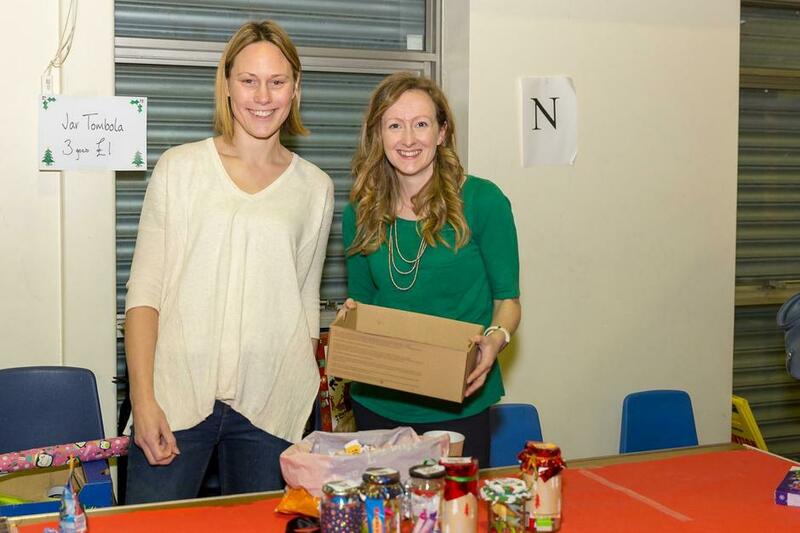 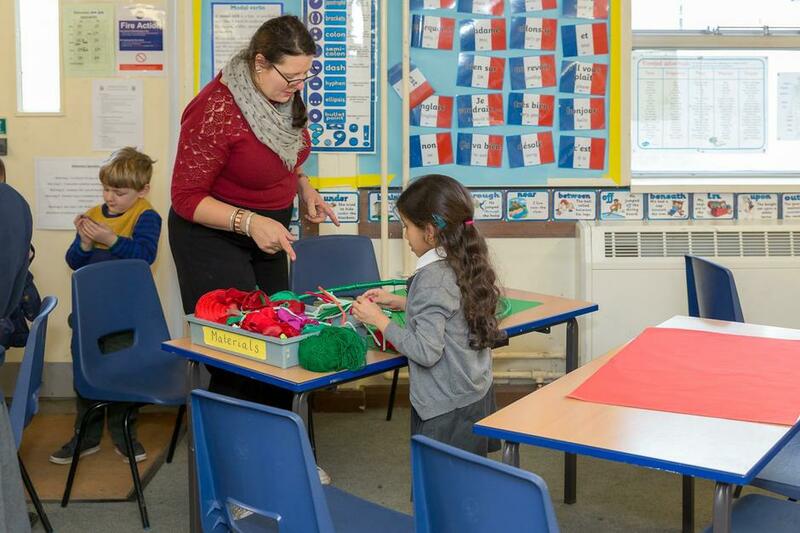 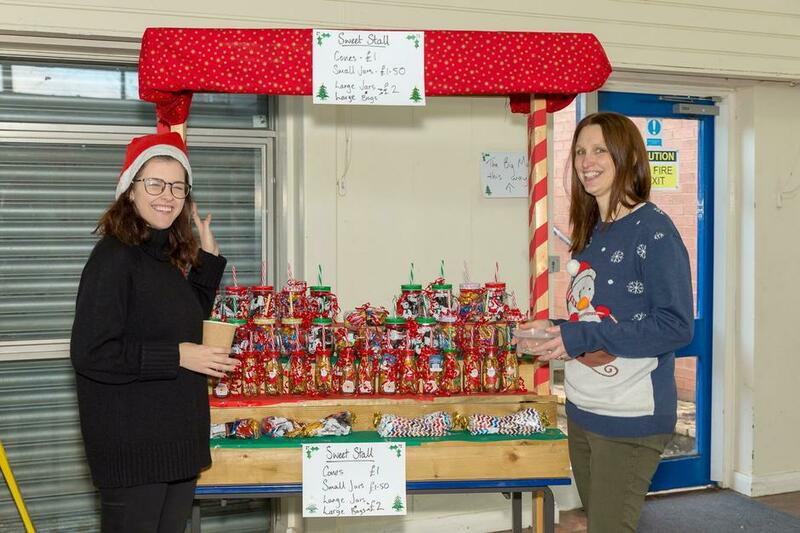 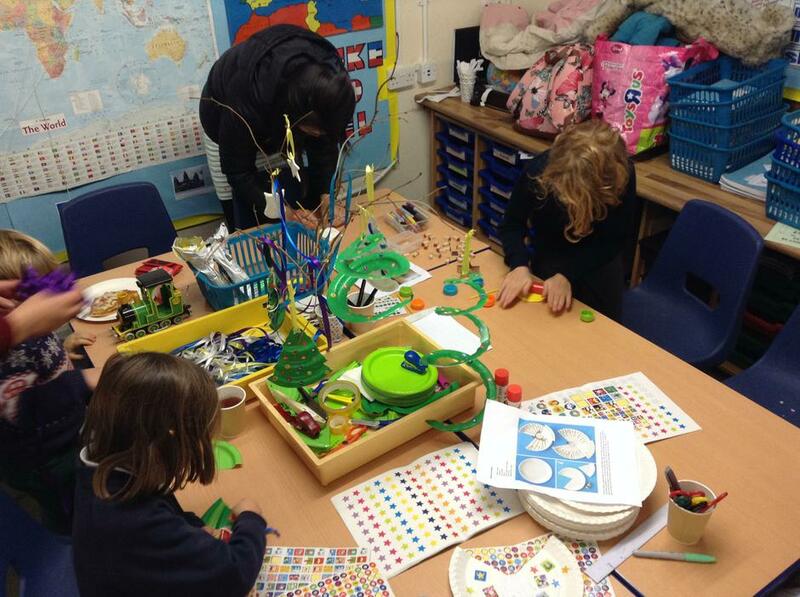 After weeks of preparations and a particularly busy day leading up to the fair, the parents and staff worked like elves in Santa's workshop to set up a multitude of treats for pupils past, present and future. 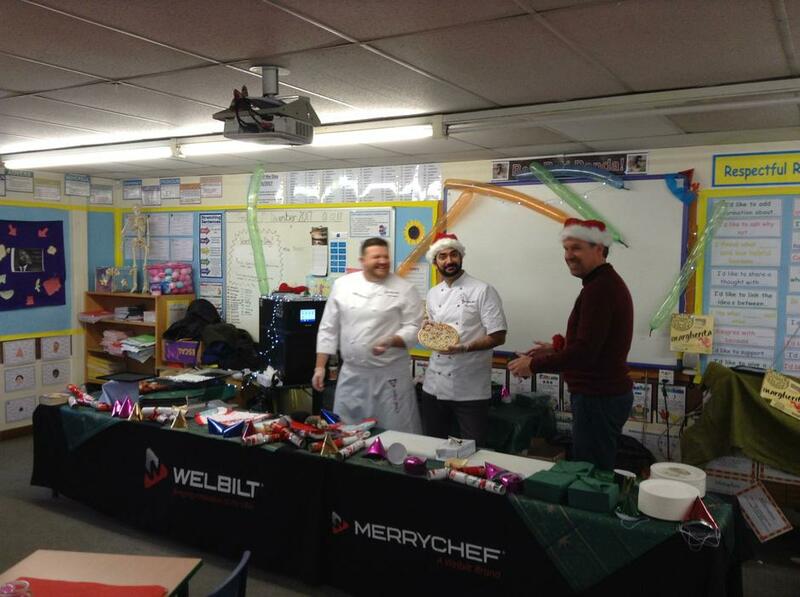 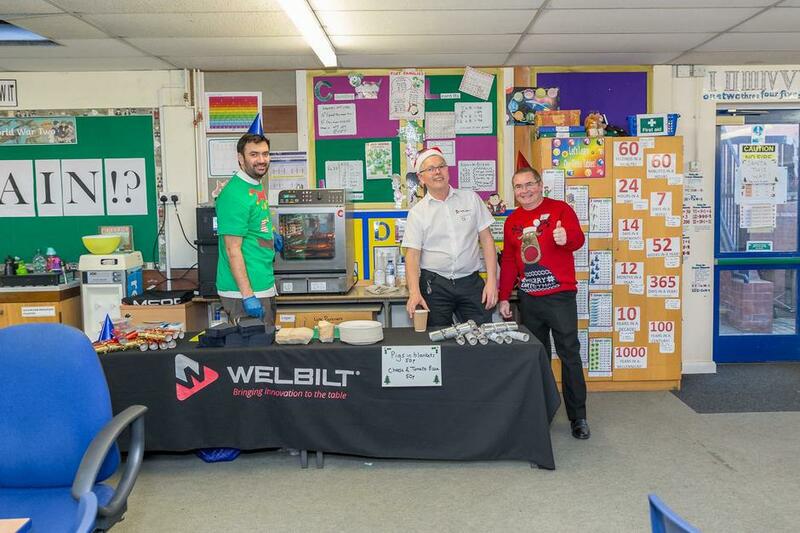 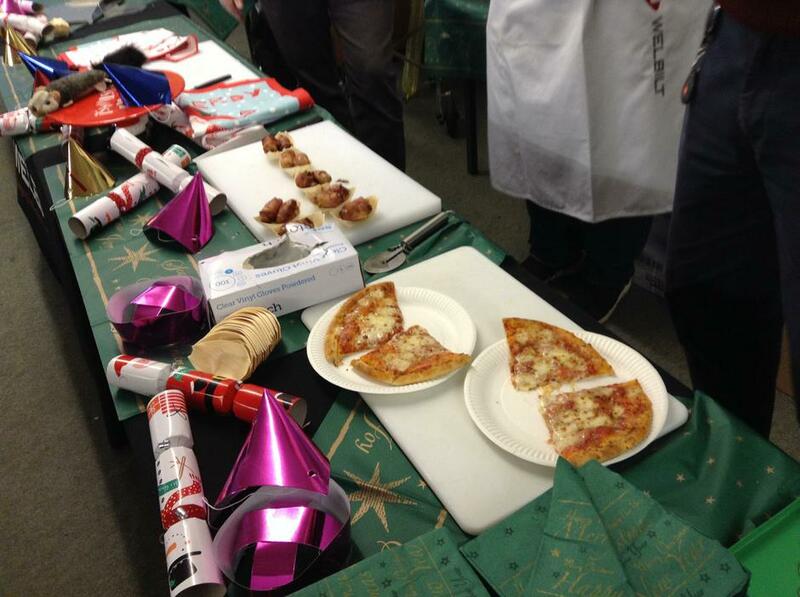 We were supported once again by Welbilt (our Breakfast Club partners) who provided pizzas and pigs in blankets (quickly snaffled) along with a plethora of cakes and other treats for sale provide by avid Walkley bakers. 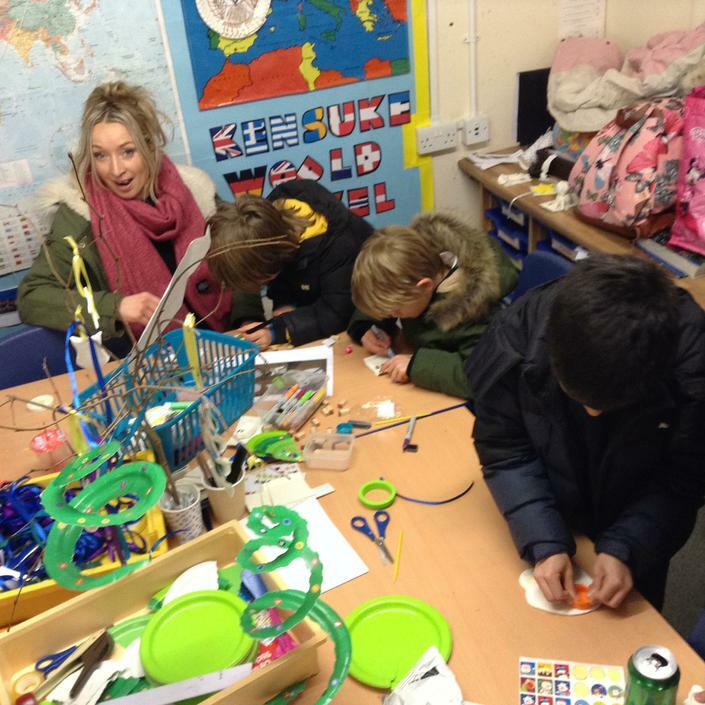 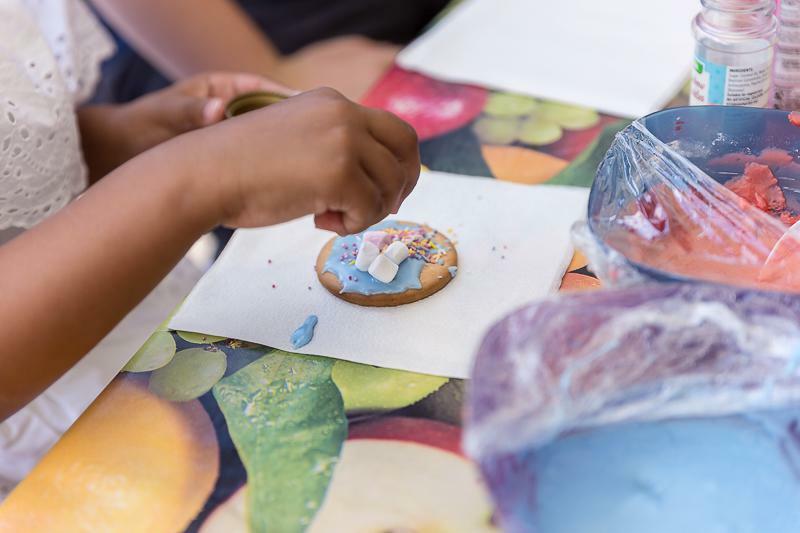 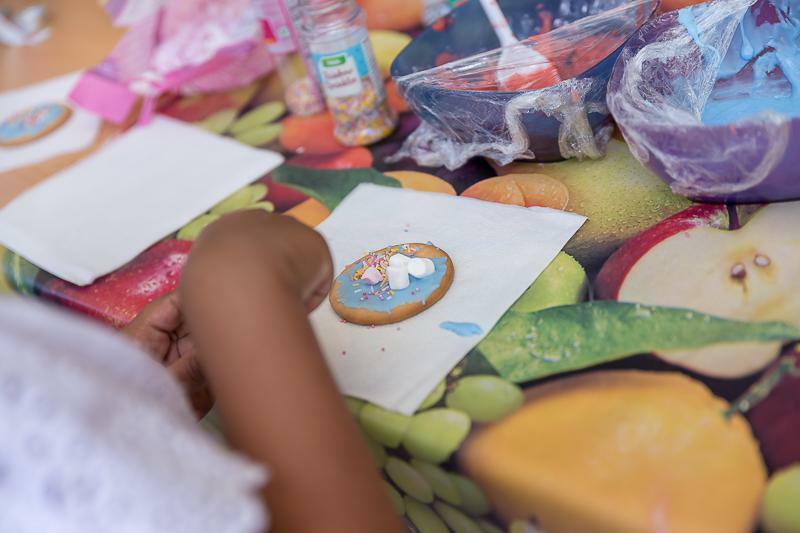 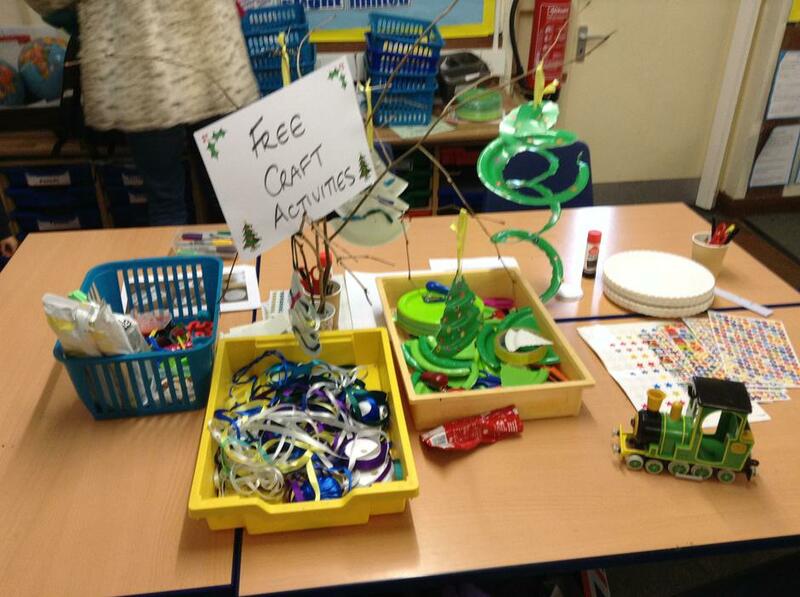 With craft activities to keep any elf busy and of course a certain someone in his grotto with one almighty queue there was ever such a lot of things to do!! 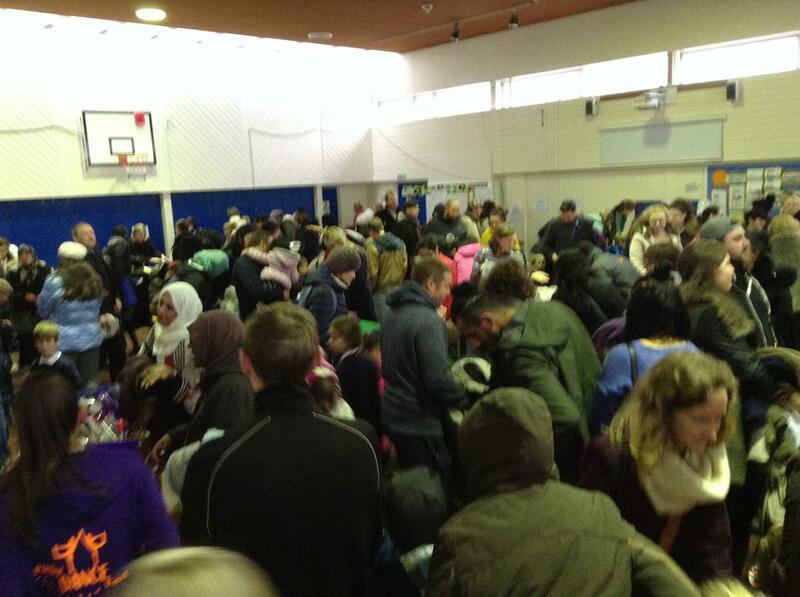 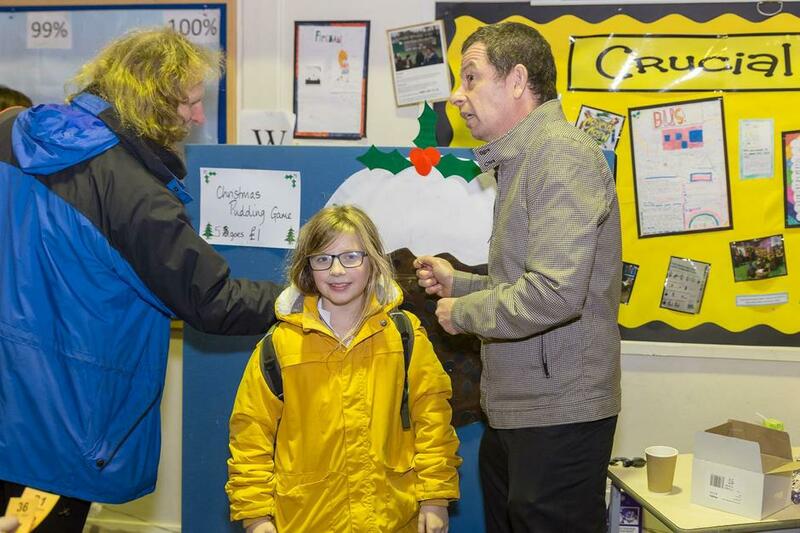 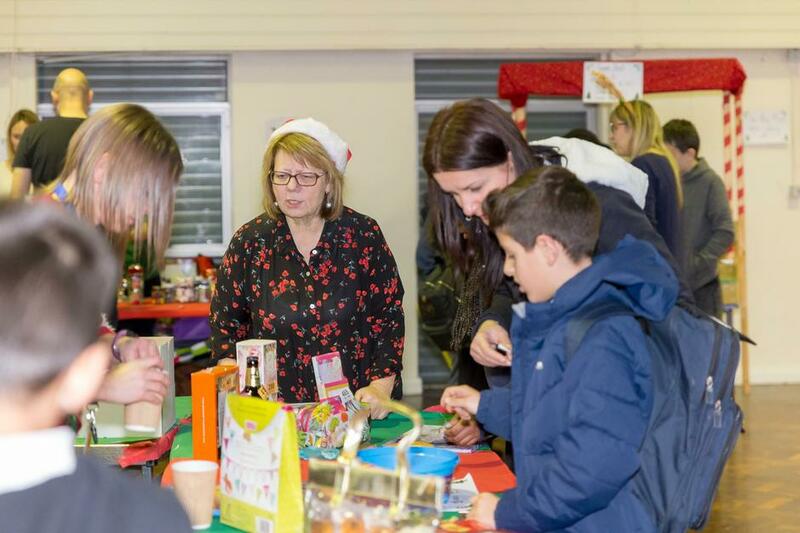 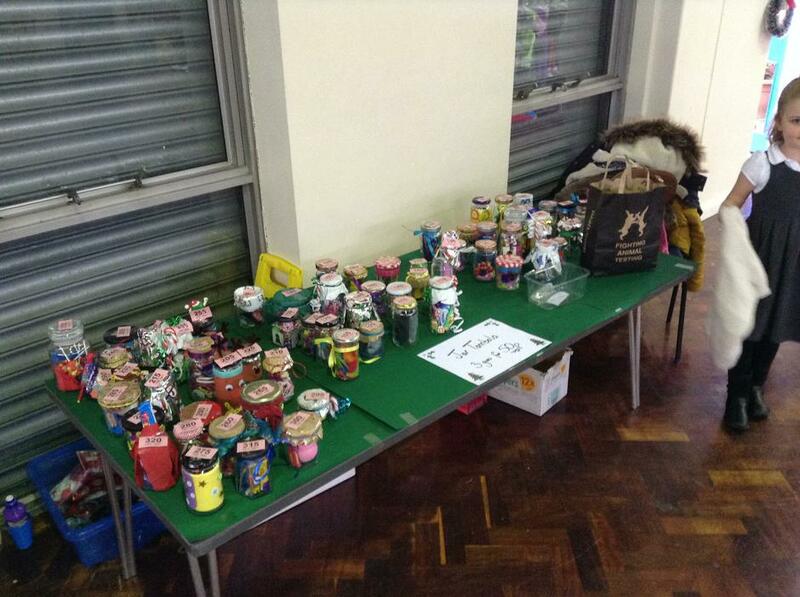 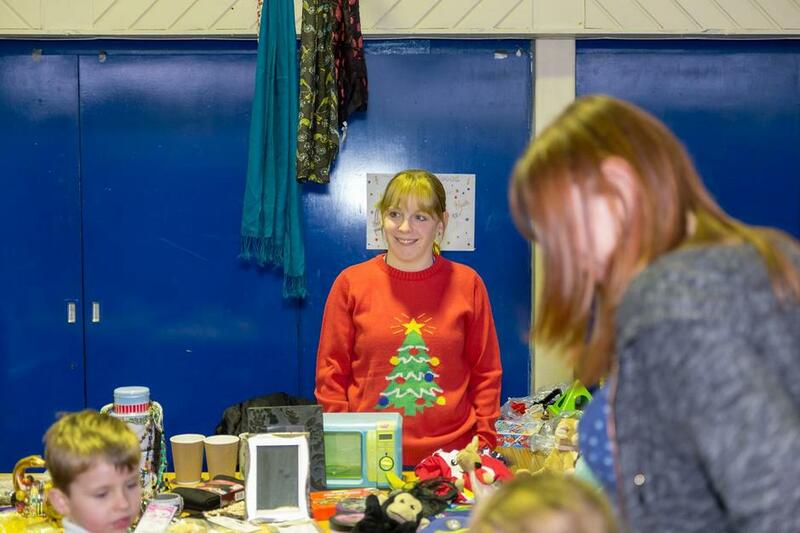 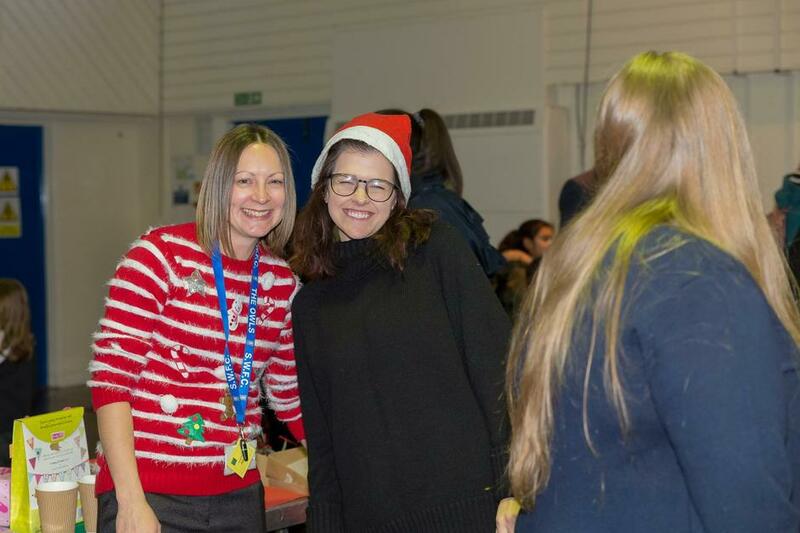 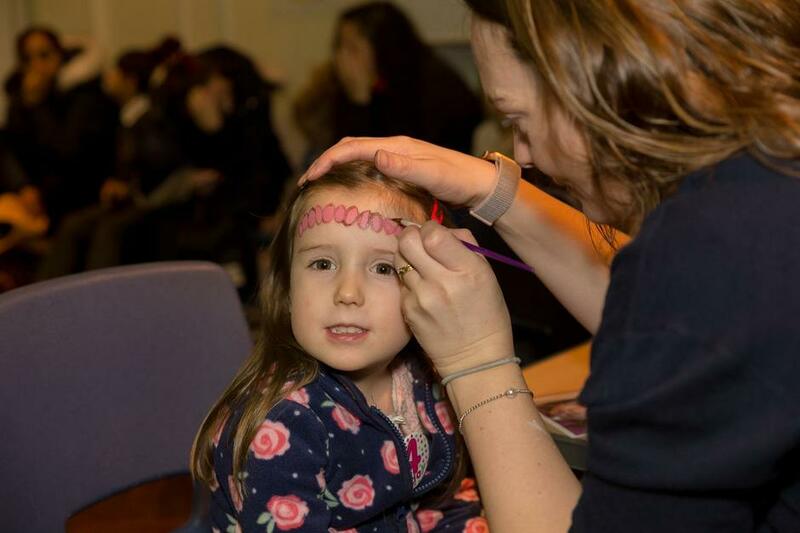 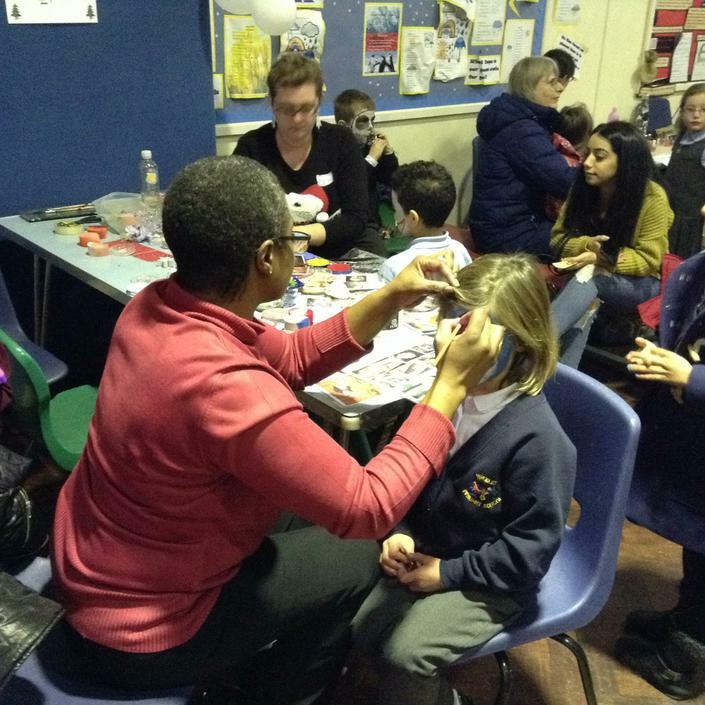 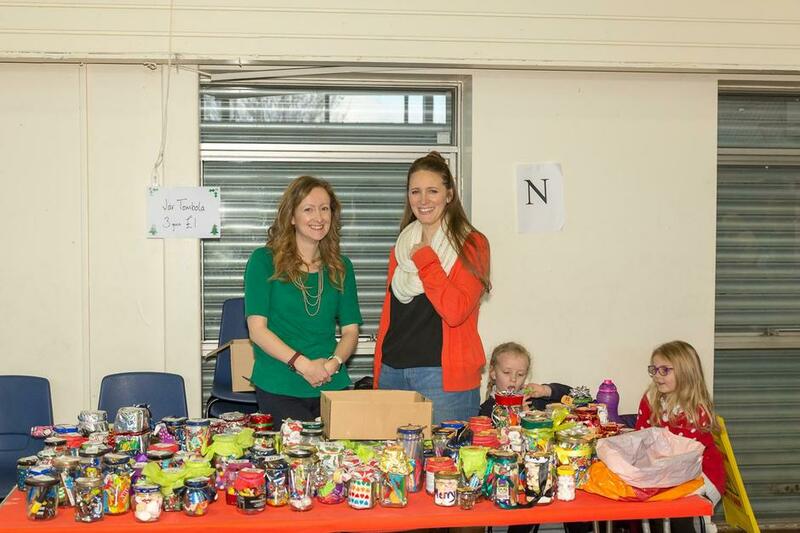 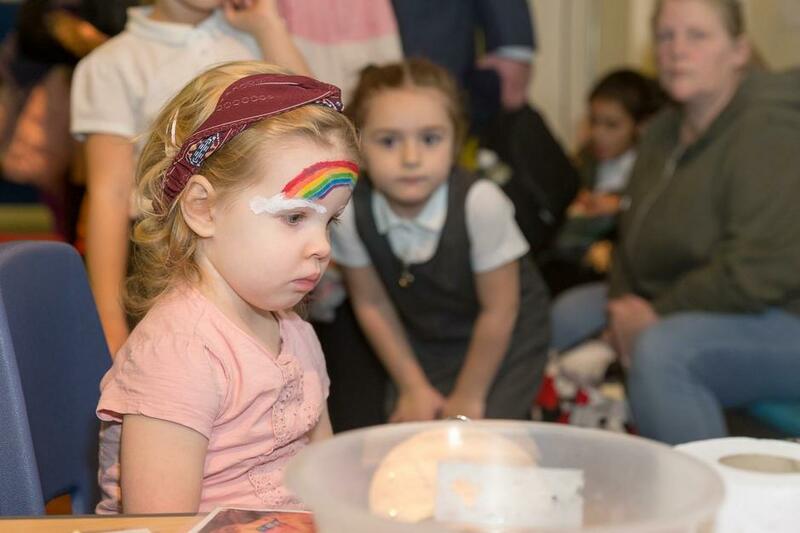 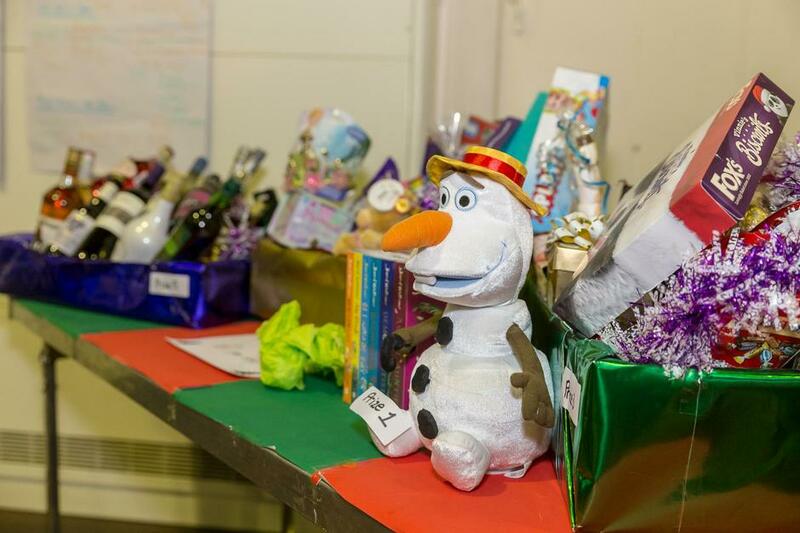 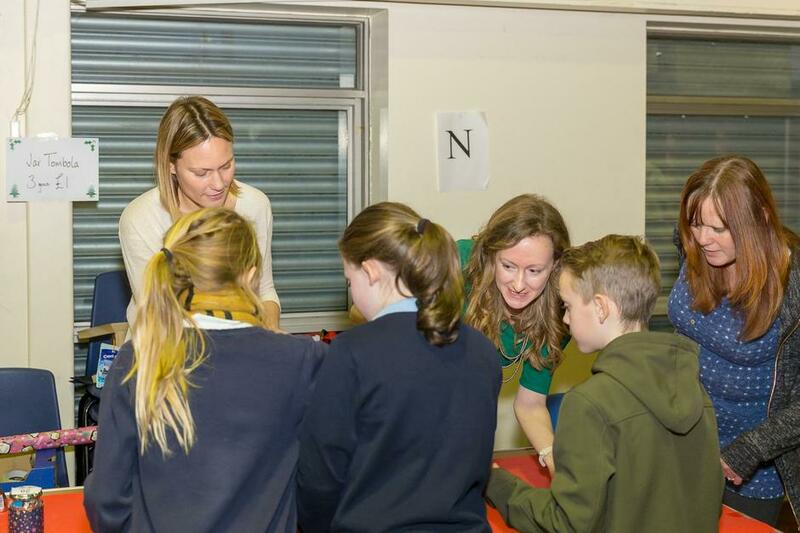 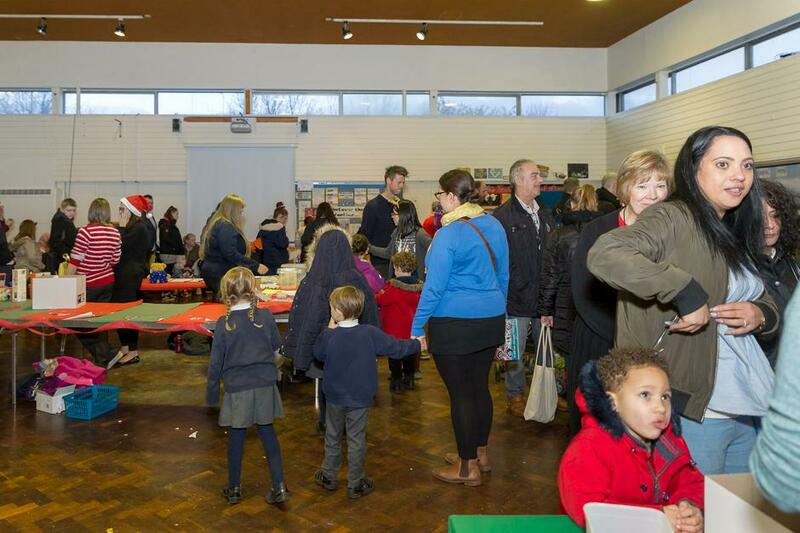 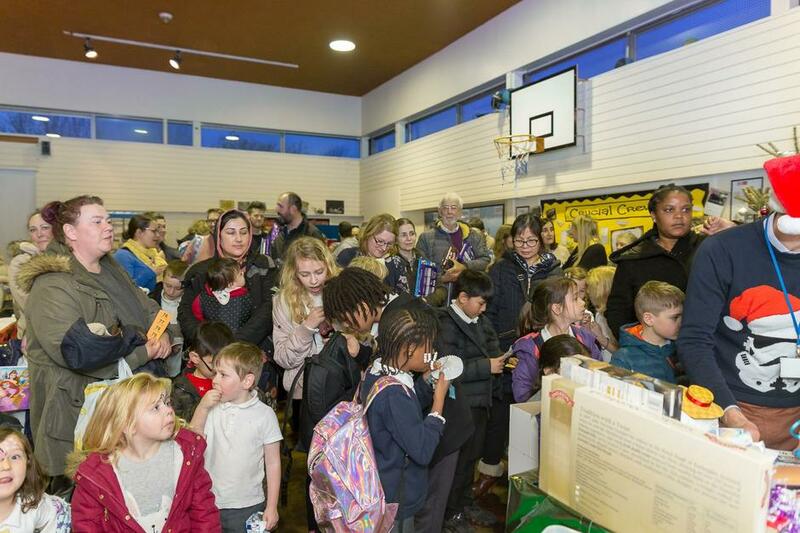 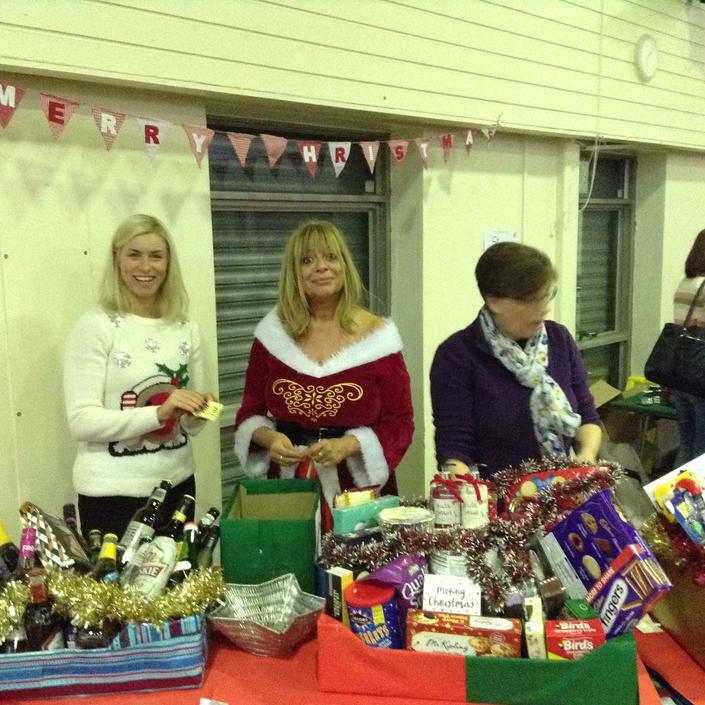 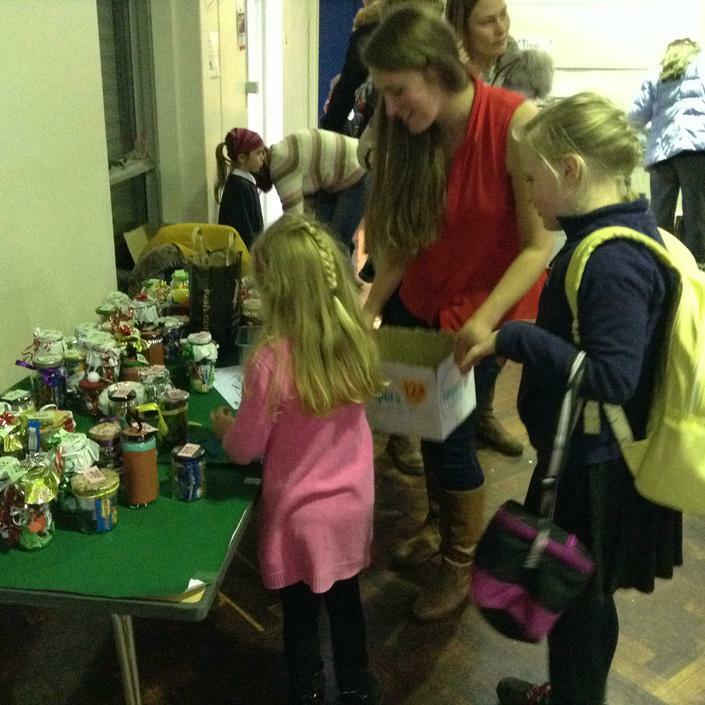 In the main hall amongst the many stalls, children could take a chance in the jar tombola, have their face painted, attempt to hook a bag, or find the star behind the Christmas pudding raisins and of course the raffle prizes generously provided by the staff. 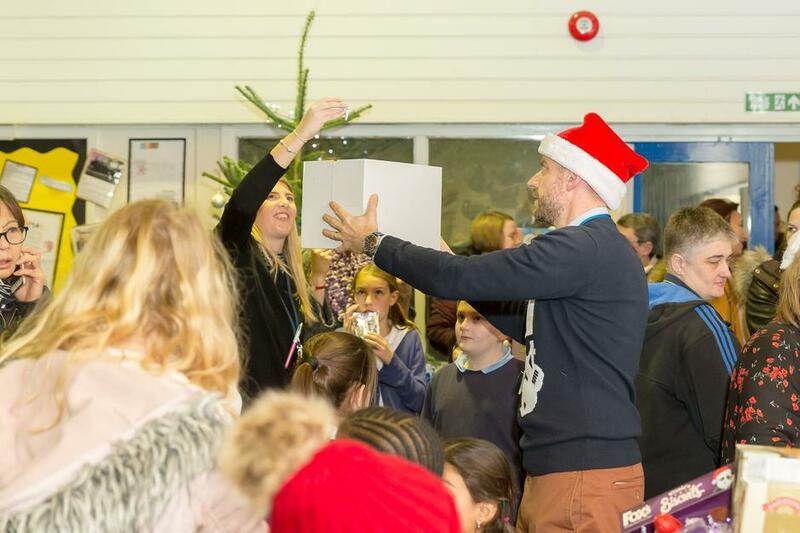 See you on Monday for Carol singing on the stage. 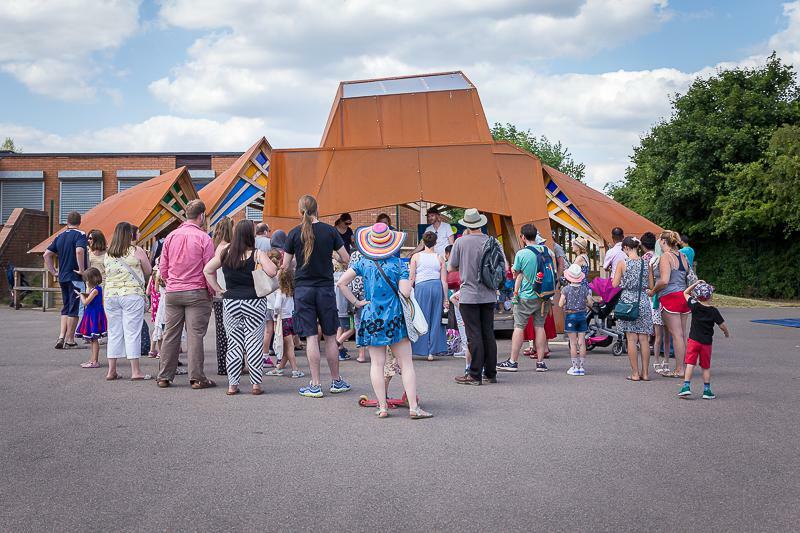 we had another fantastic day on Saturday 7th July. 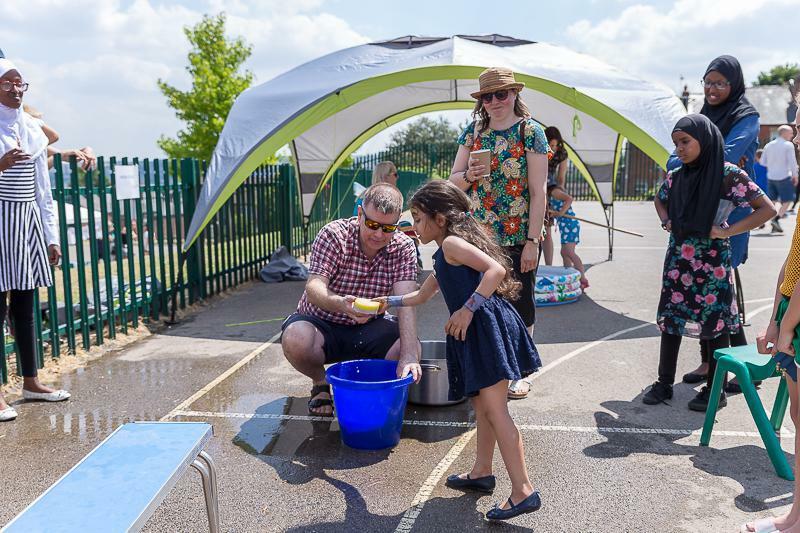 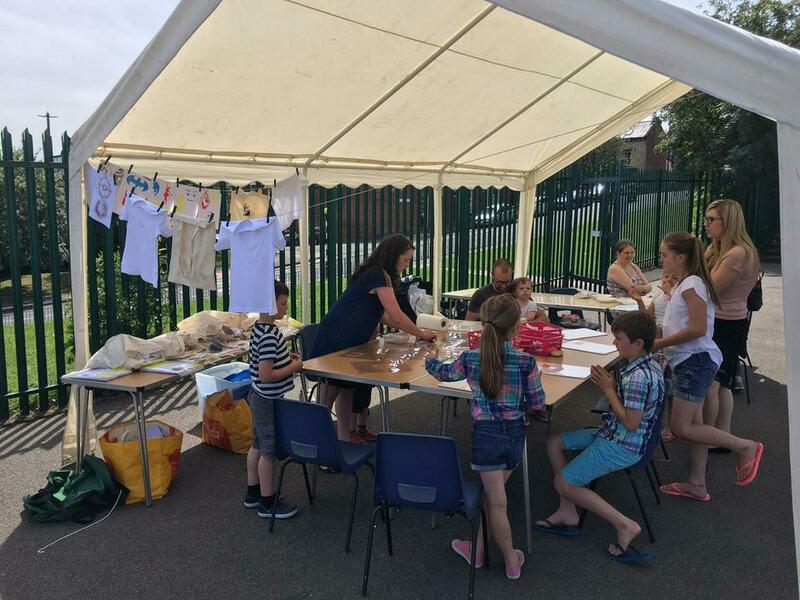 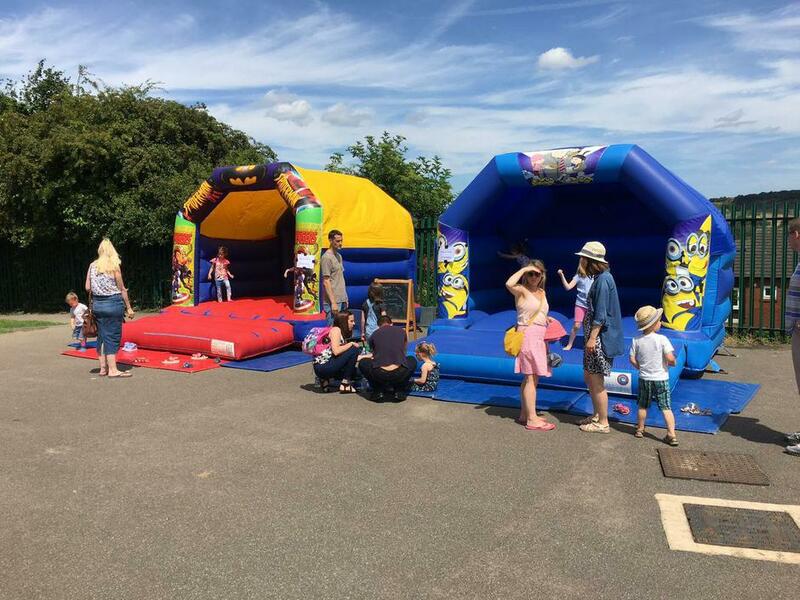 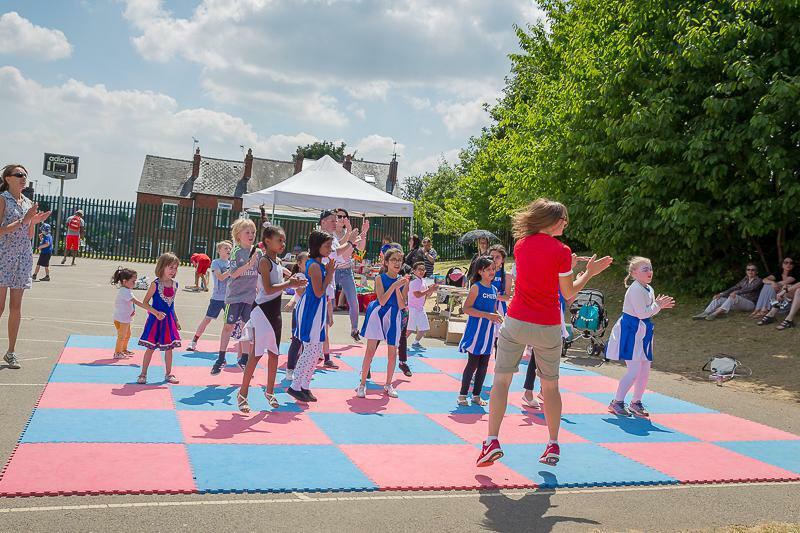 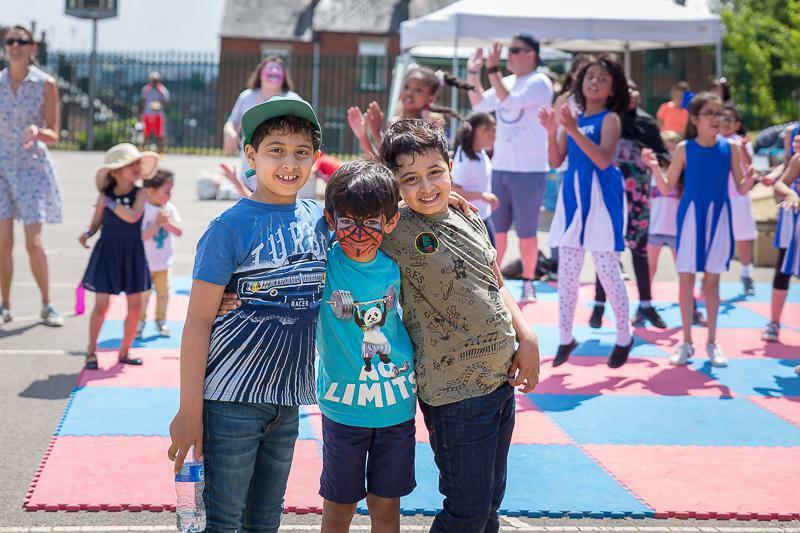 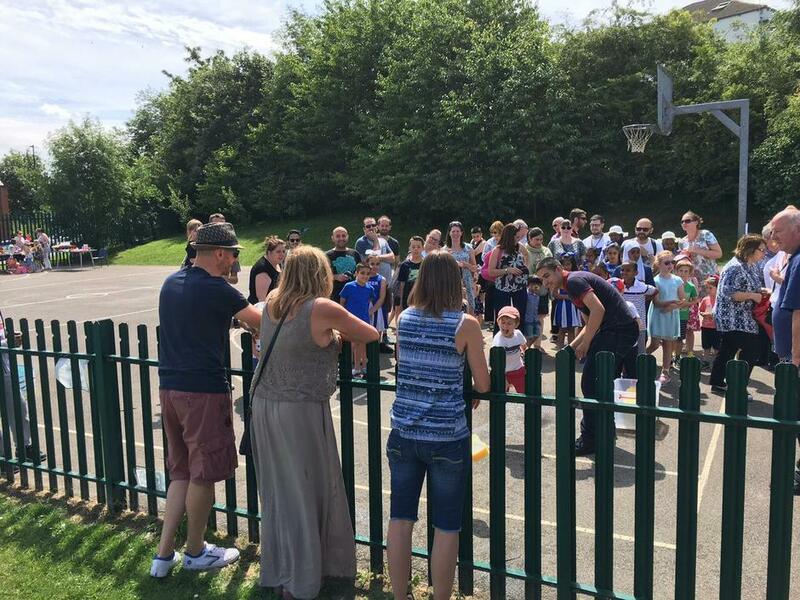 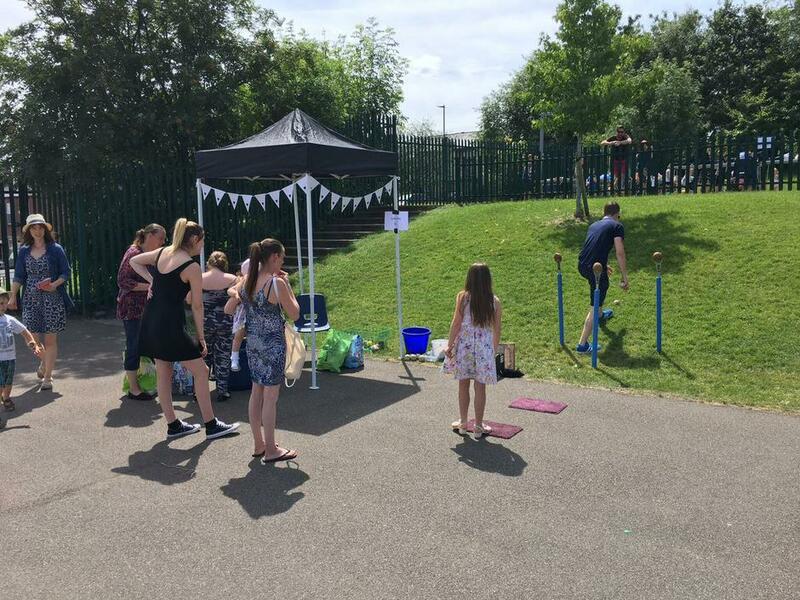 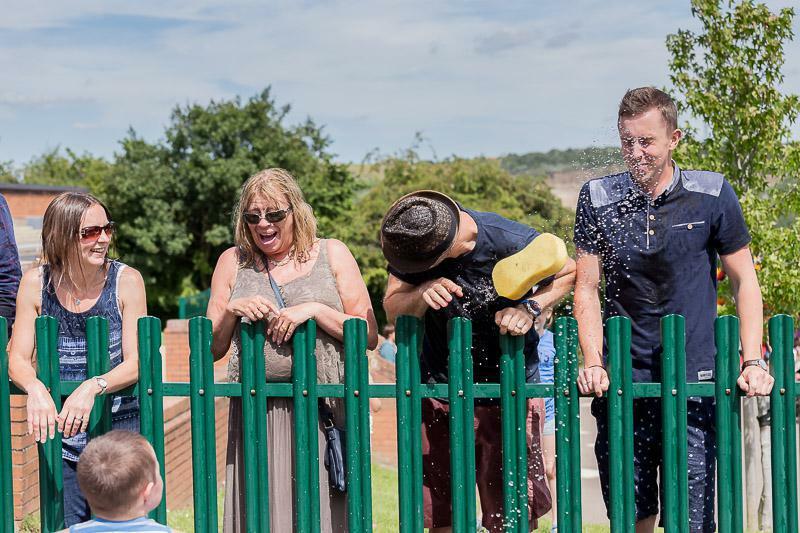 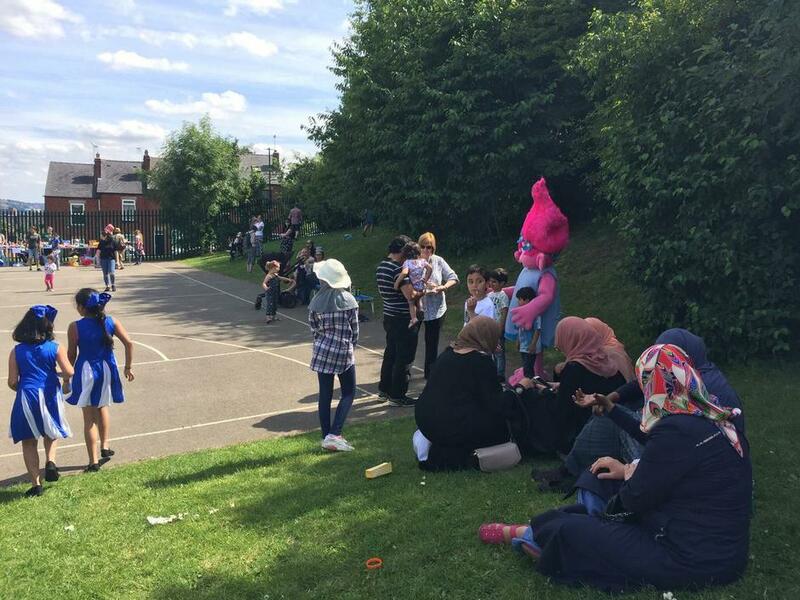 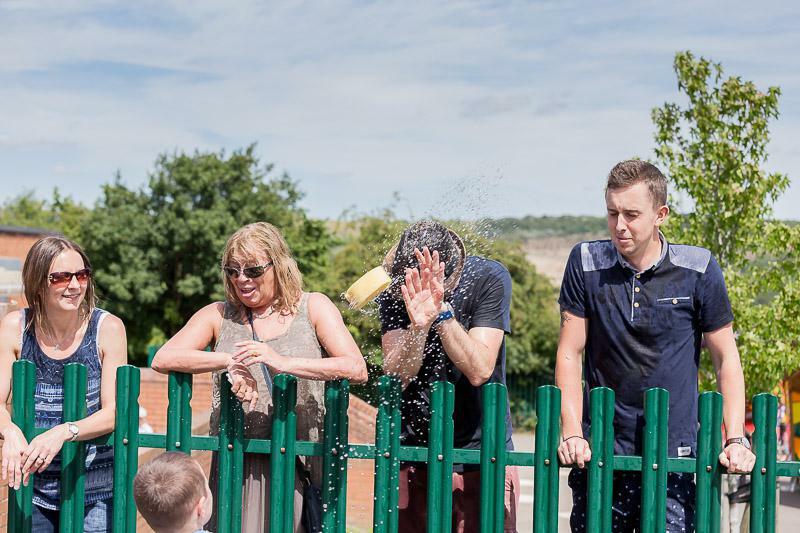 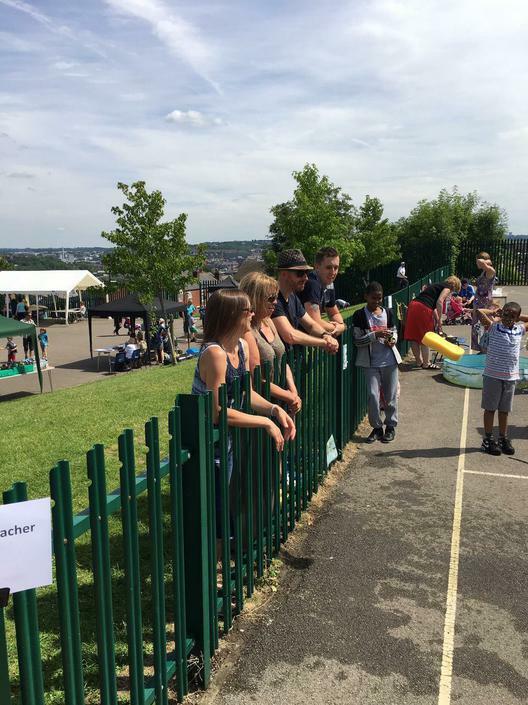 The Summer Fair is always a coming together of the parents, staff and pupils of Walkley and once again we all savoured a very special time. 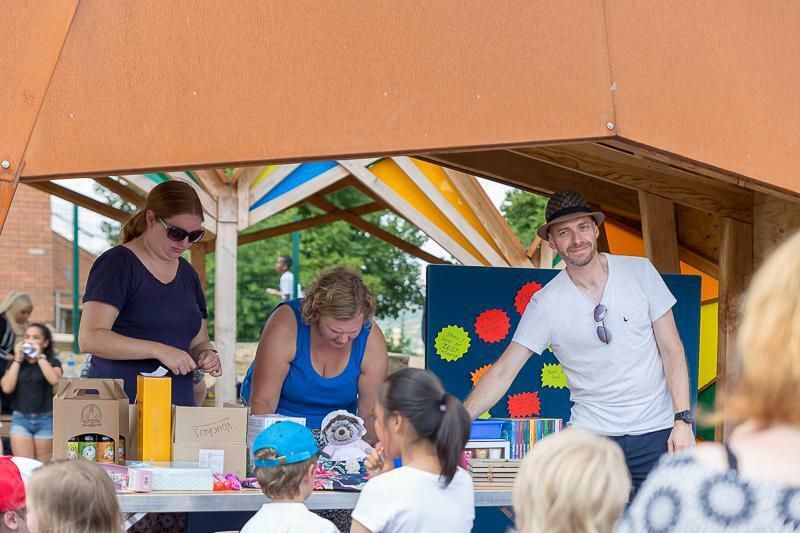 Brought forward to avoid the complication of clashing with a certain World Cup quarter final, everybody rallied round to get the fair ready and open. 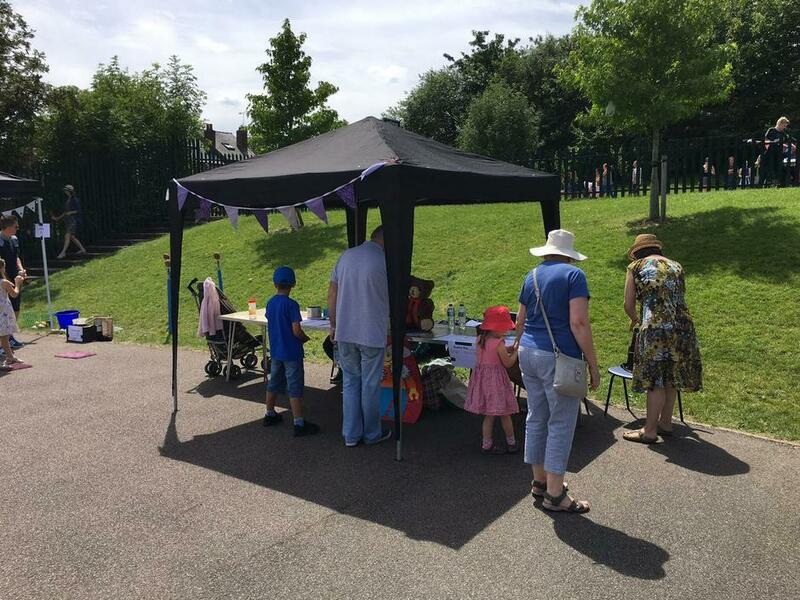 What a brilliant afternoon we had, so many exciting things to do and once again an amazing amount of money made for the school fund. 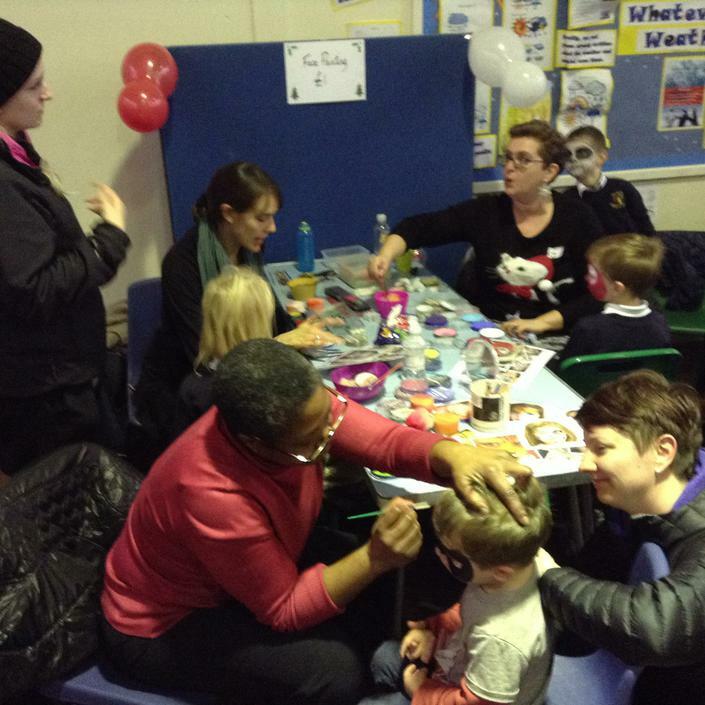 In total over £1400 was raised. 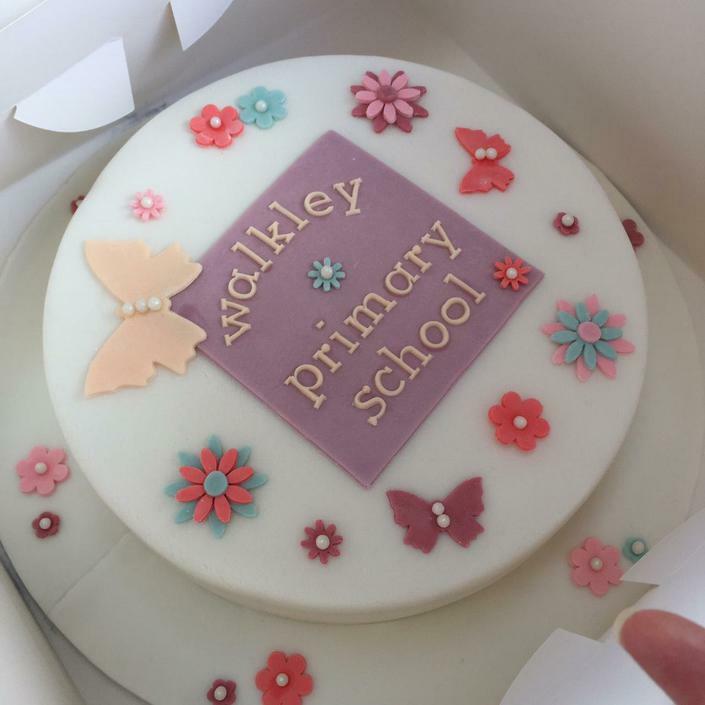 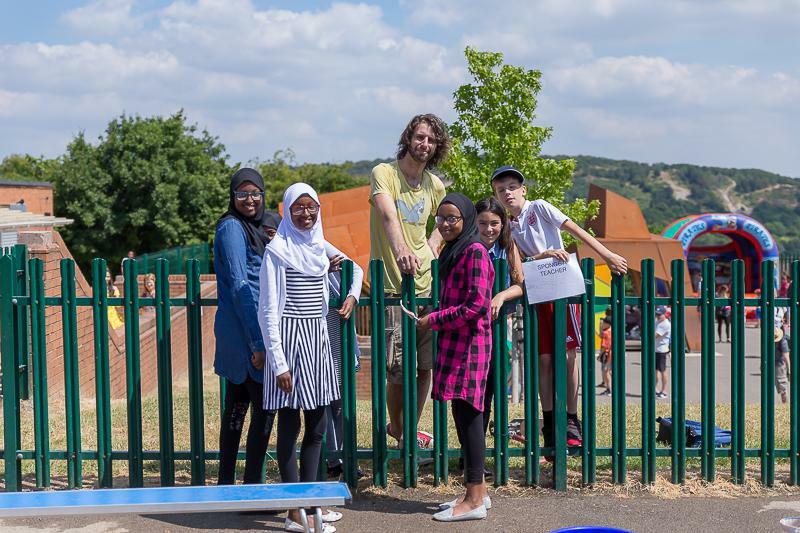 Thank you all so much for your time, effort and dedication to the pupils at Walkley. 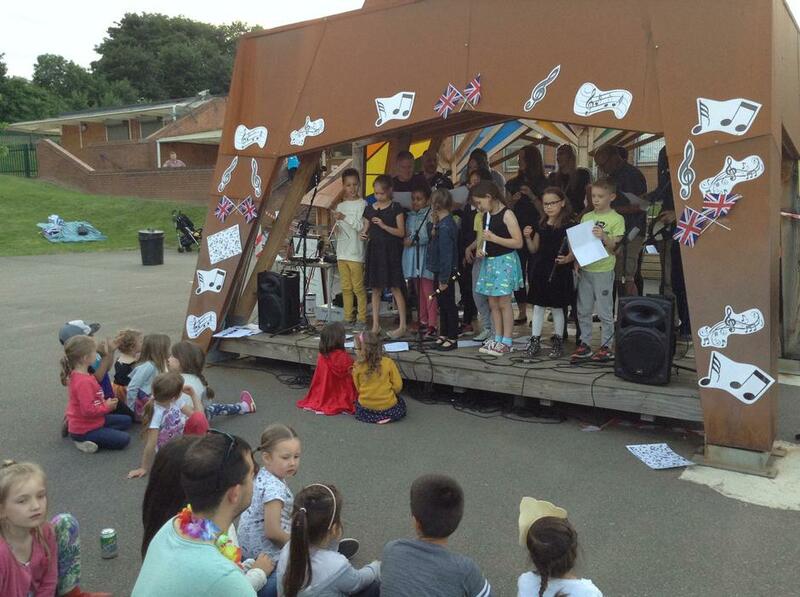 What an amazing evening at Walkley. 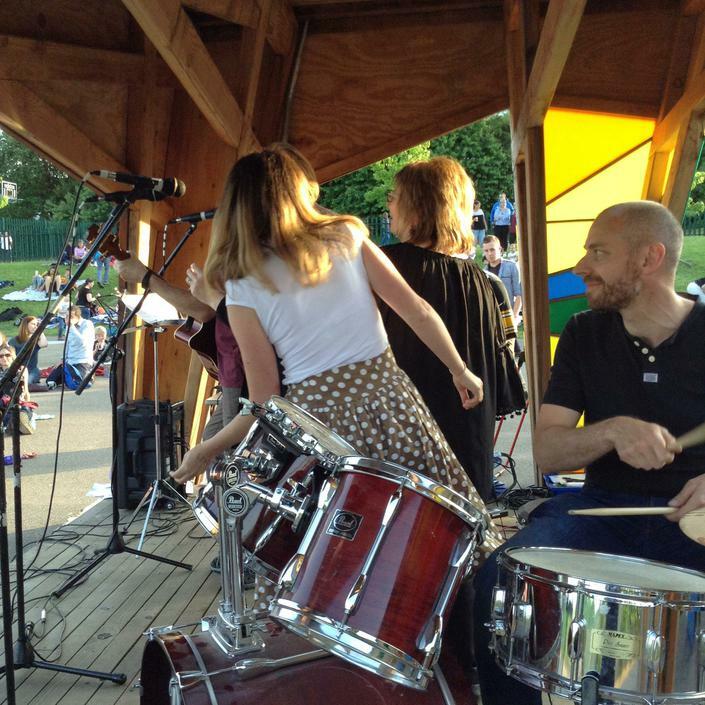 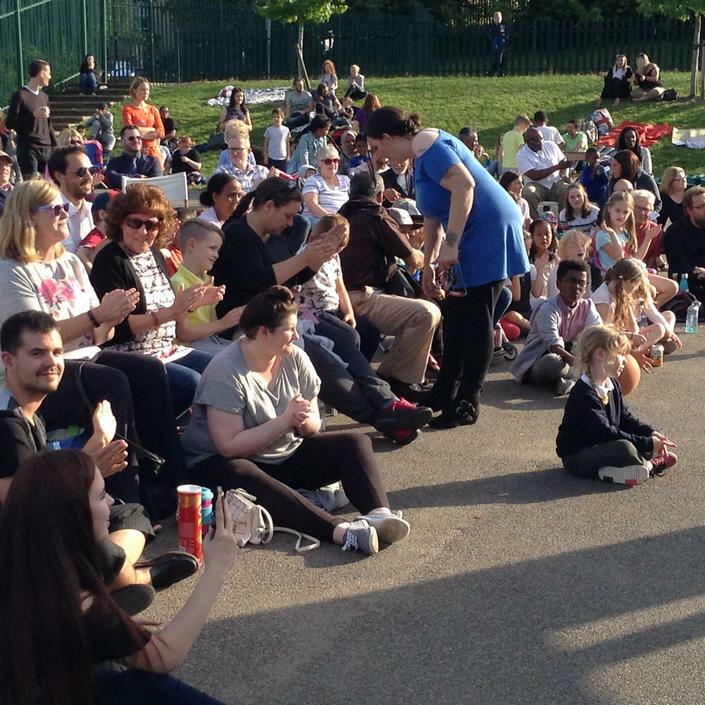 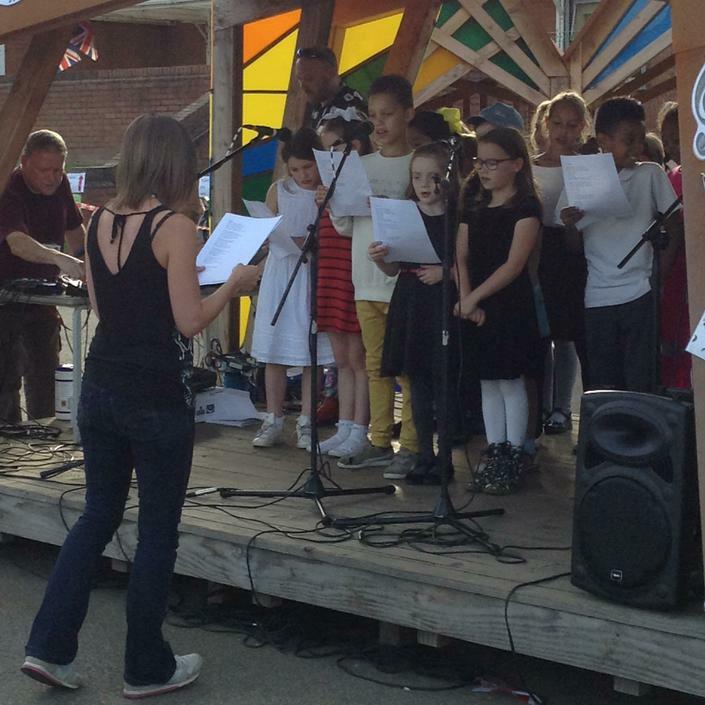 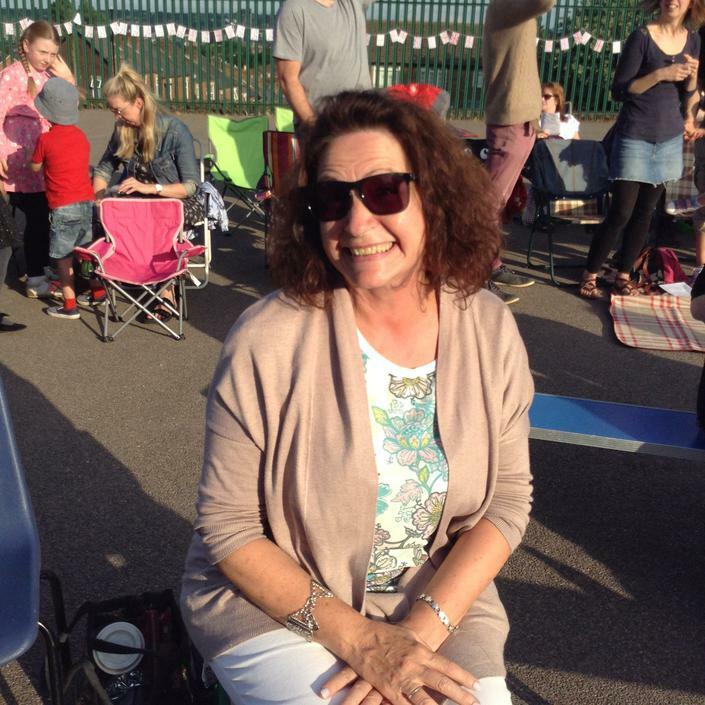 Yesterday the whole community came together for an evening of music, singing and dance. 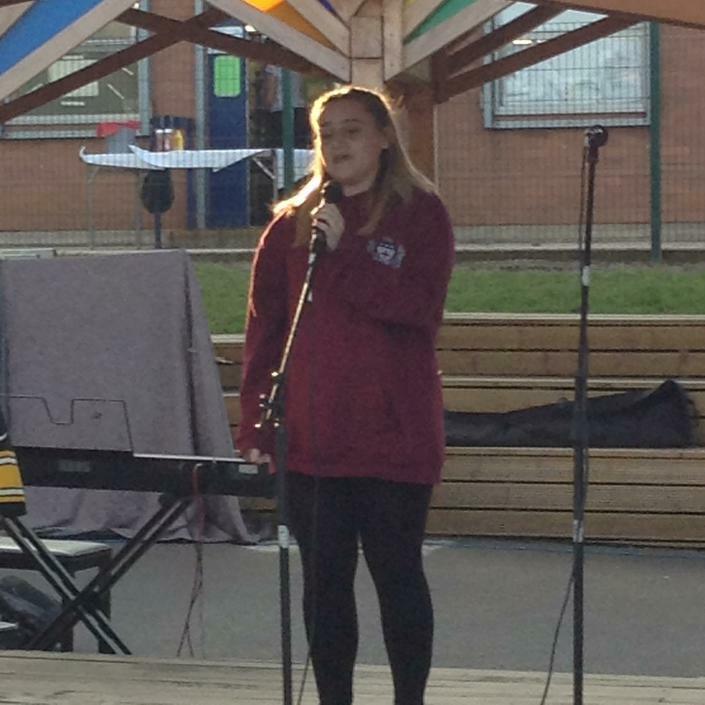 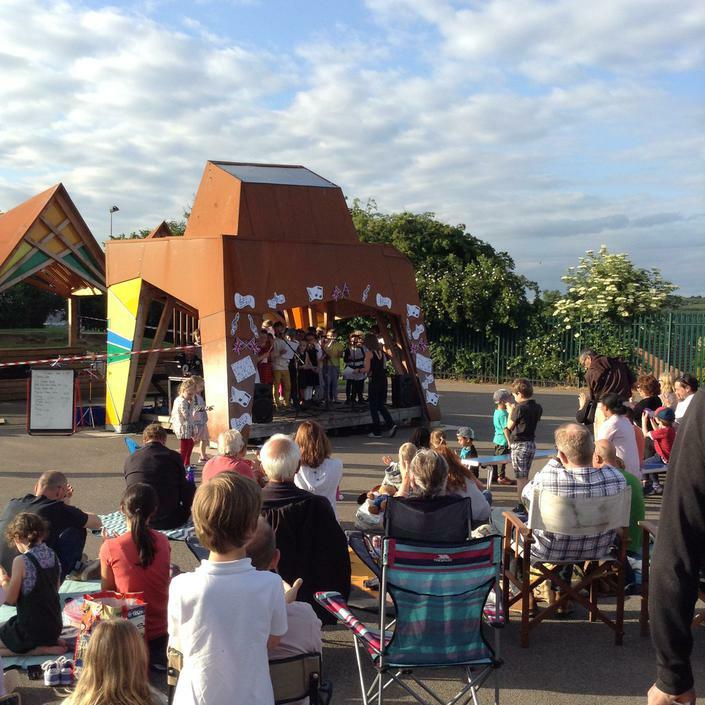 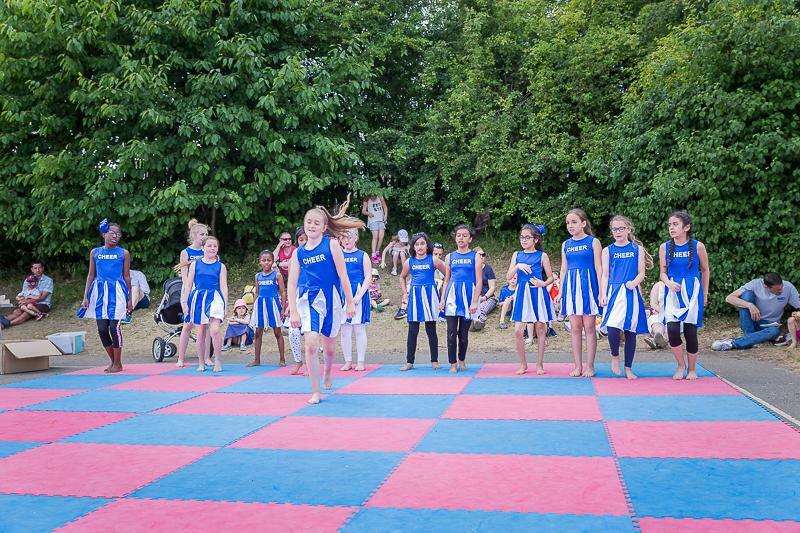 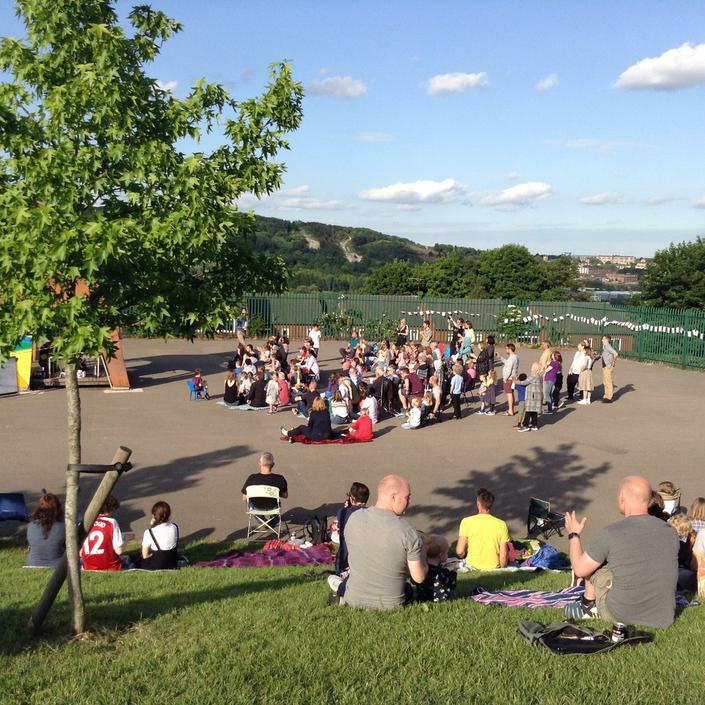 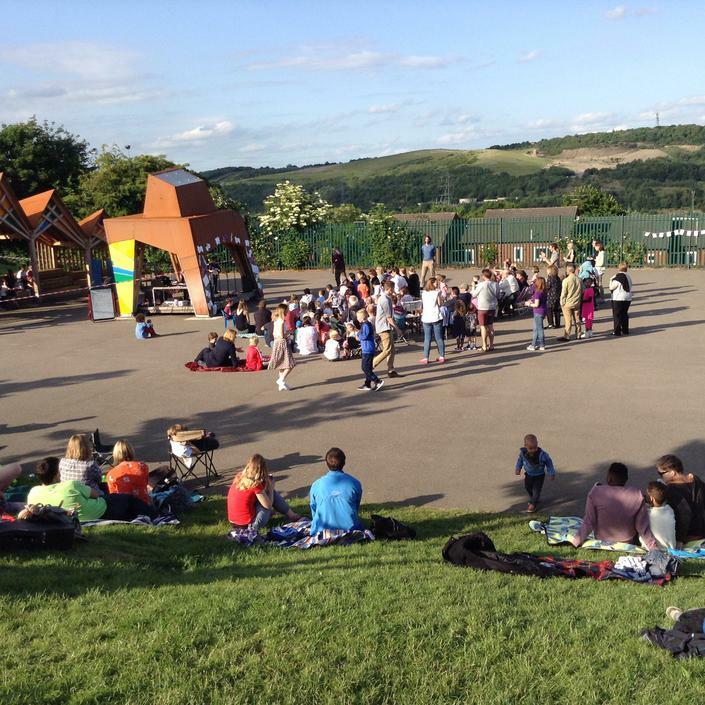 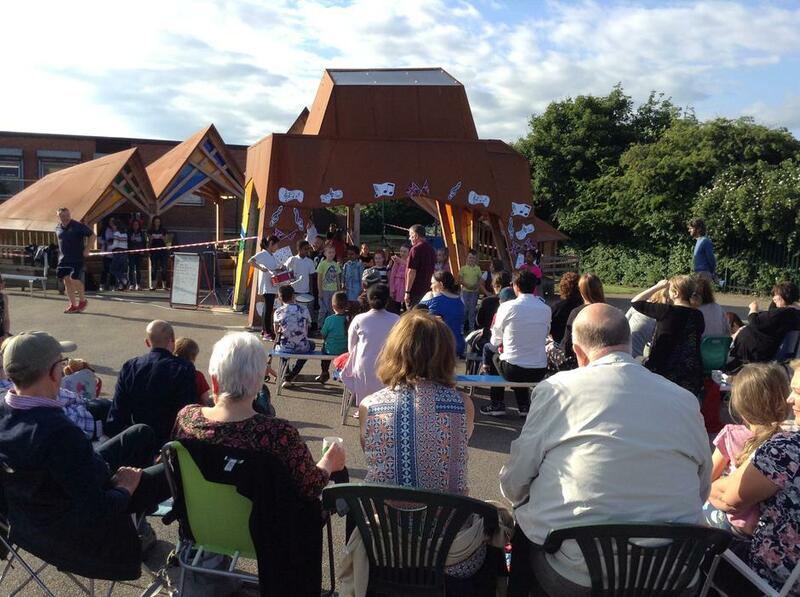 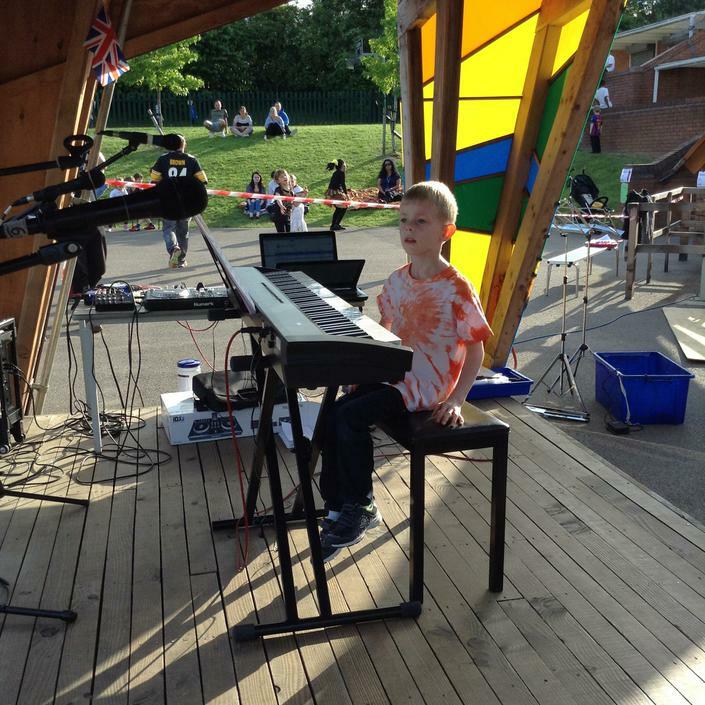 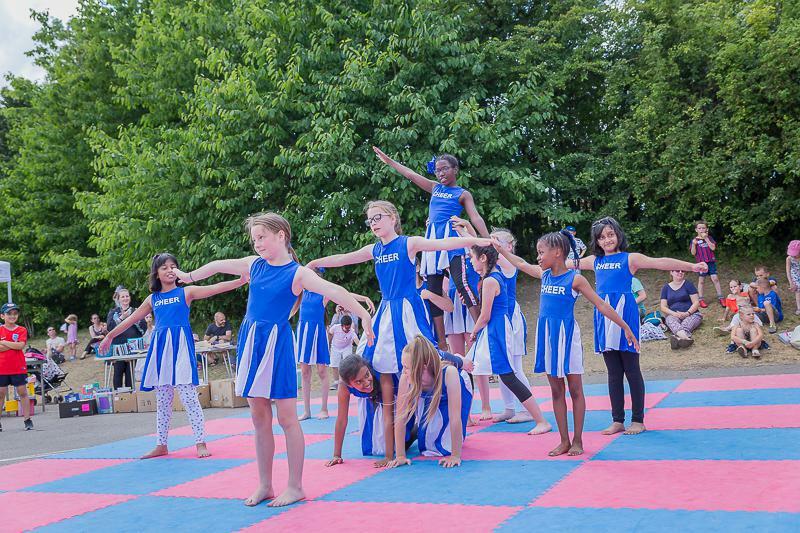 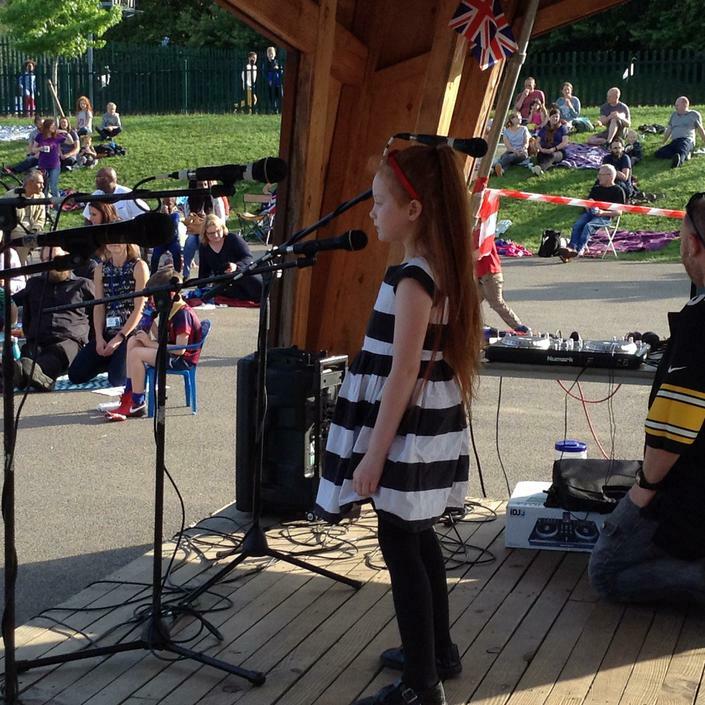 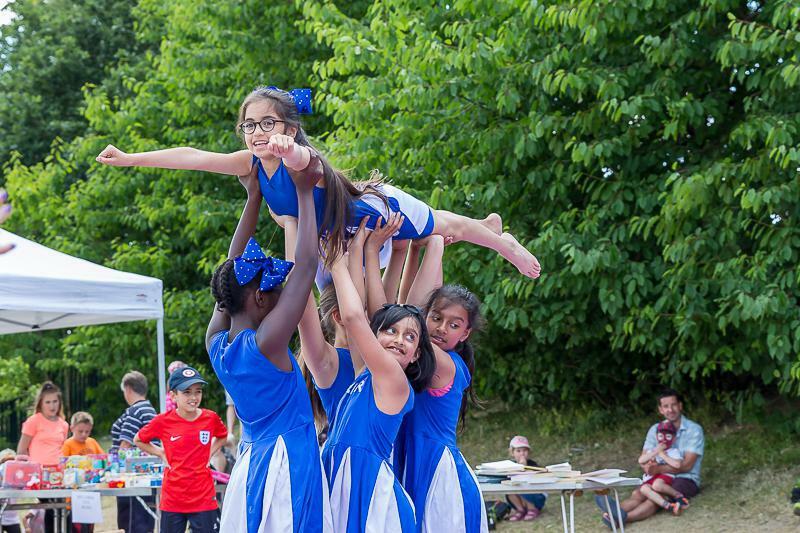 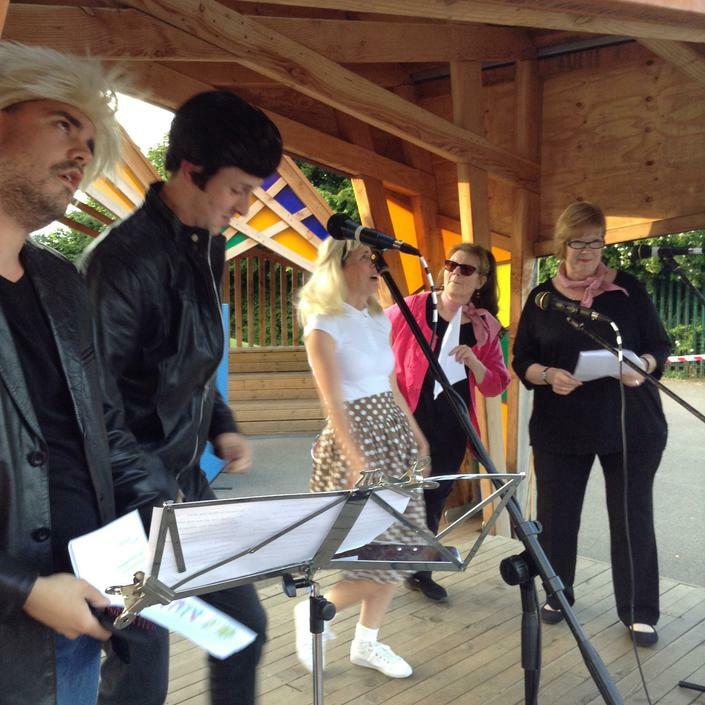 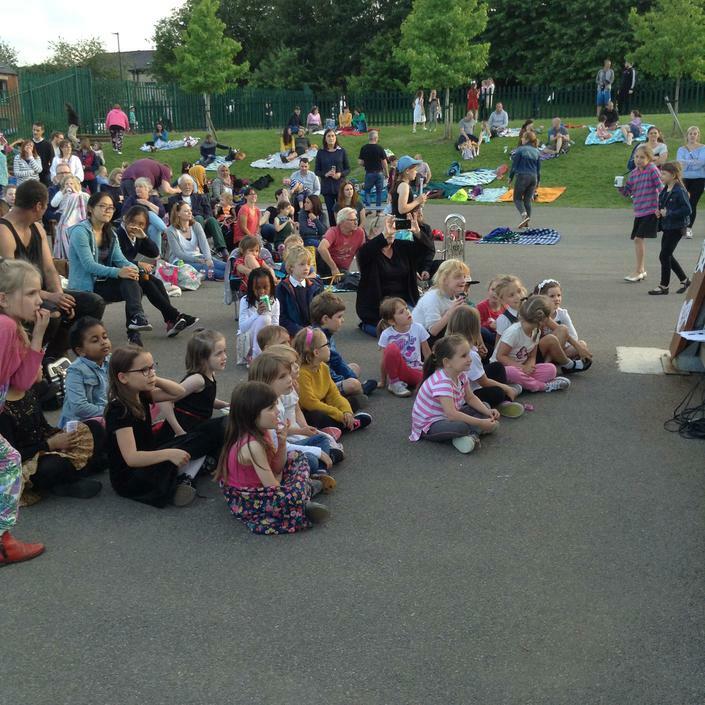 In the Outdoor Performance Theatre pupils, parents and staff put on an incredible show. 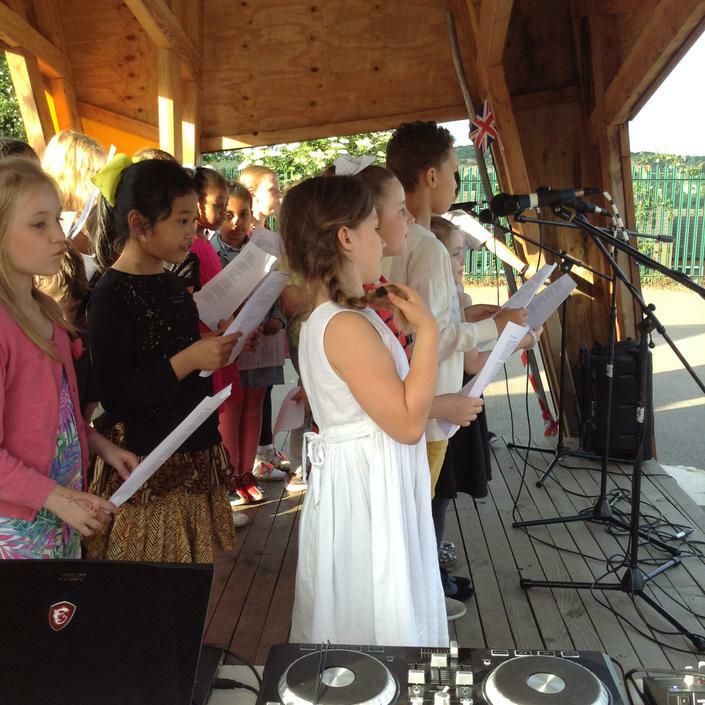 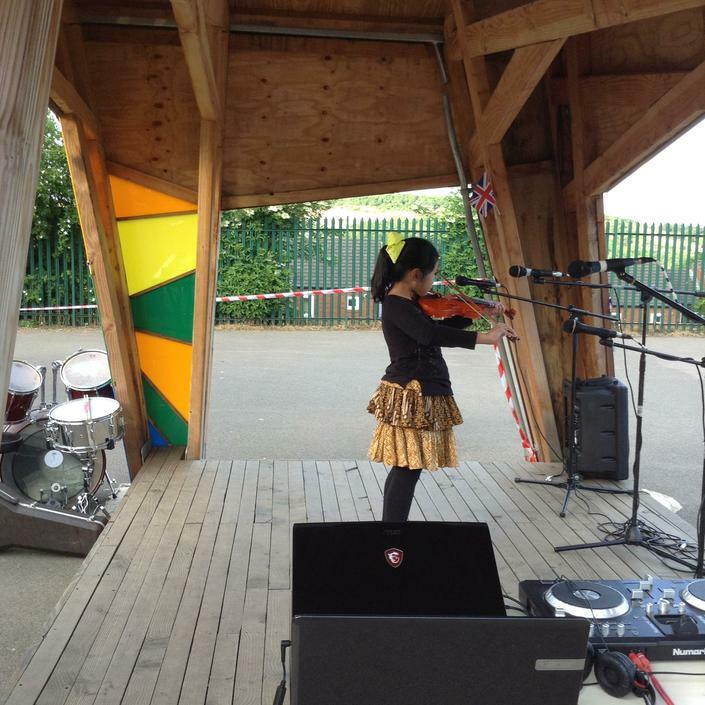 The pupils performed with violin, piano, recorders, percussion and voice, some collaborative and some solo pieces. 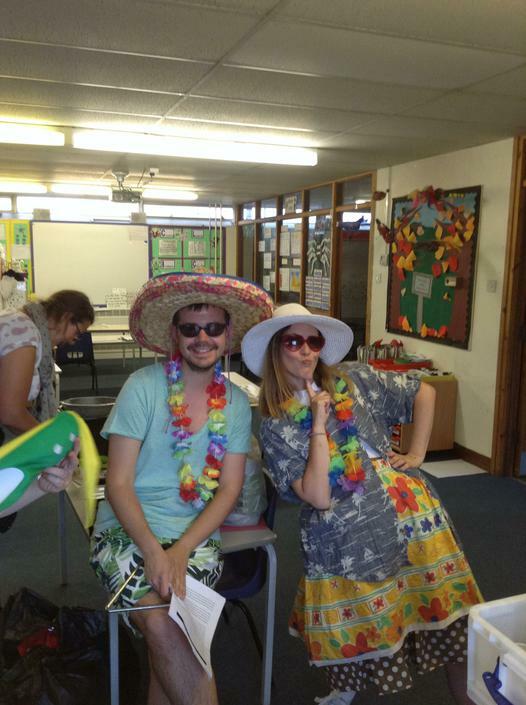 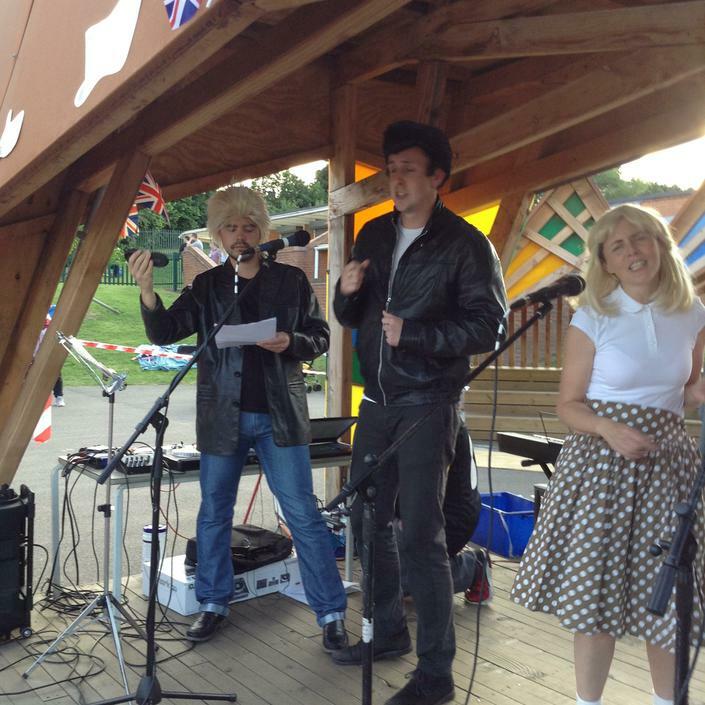 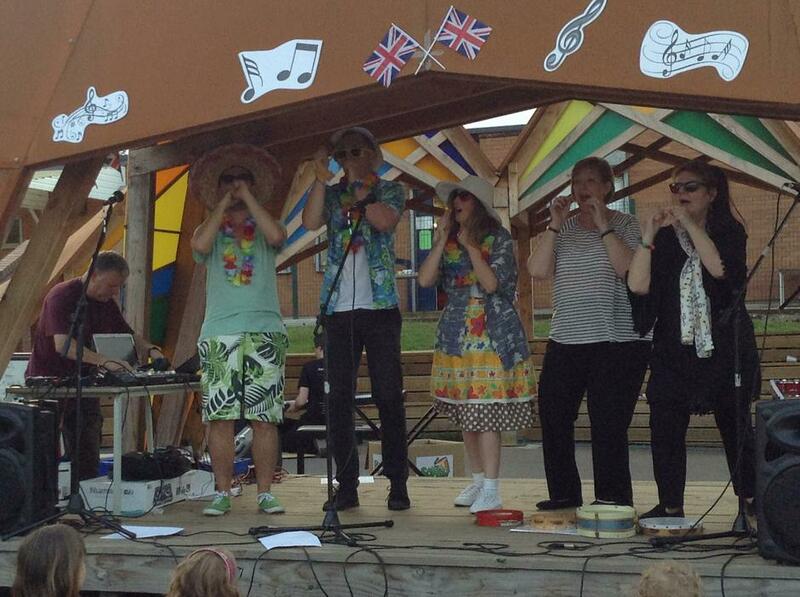 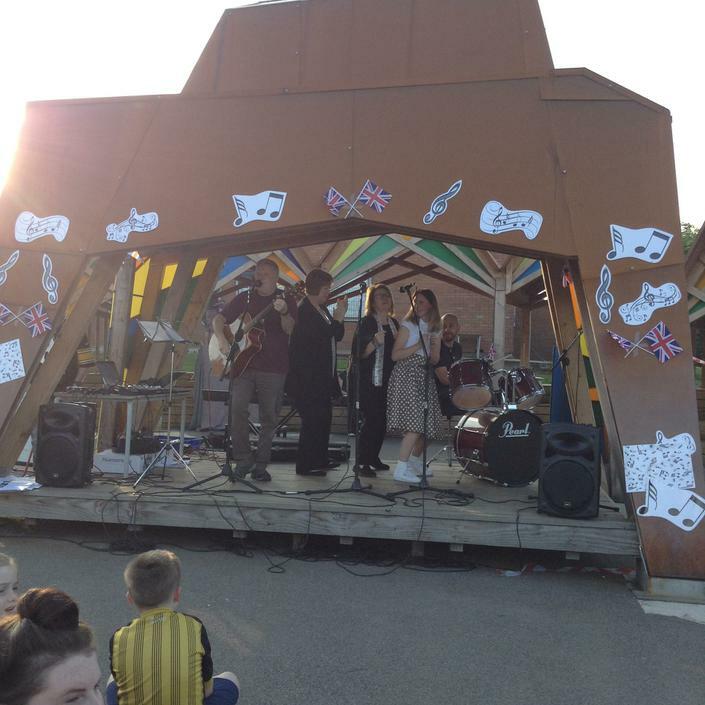 Parents and staff added extra fun with commitment, (Mrs Jinkinson) singing, dancing and even a band! 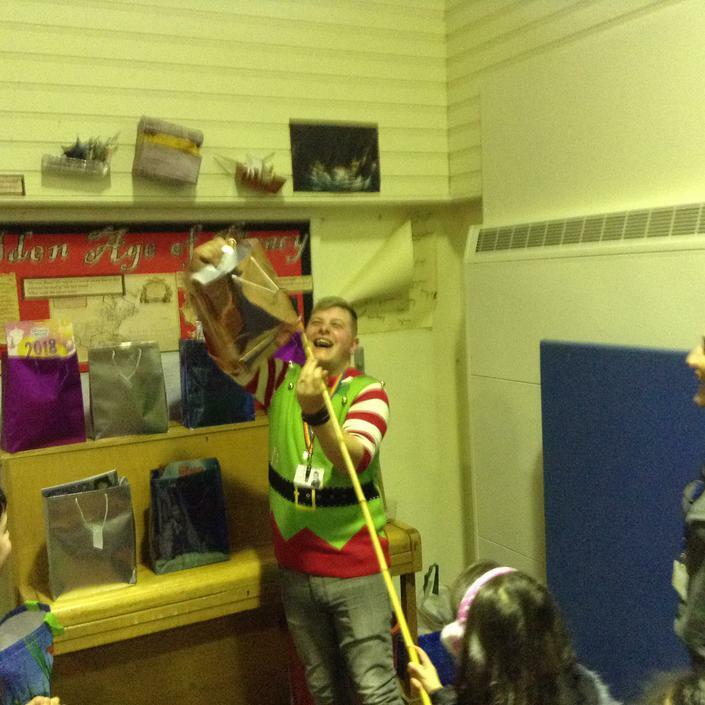 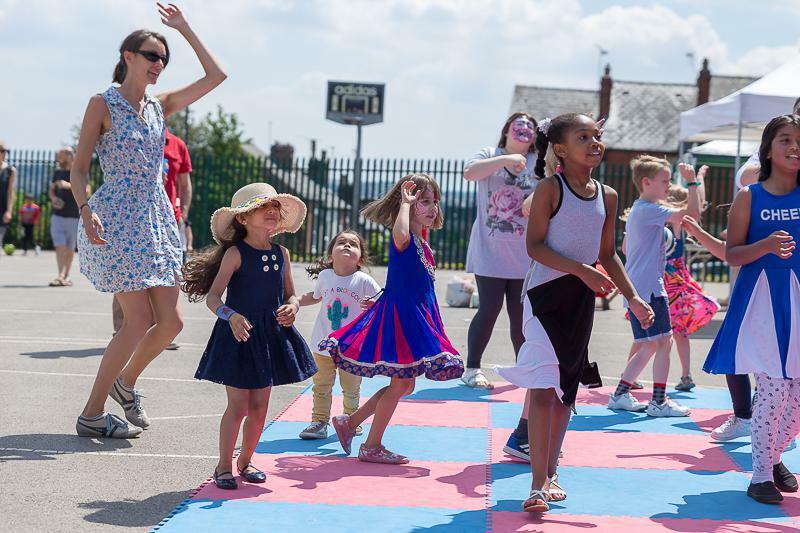 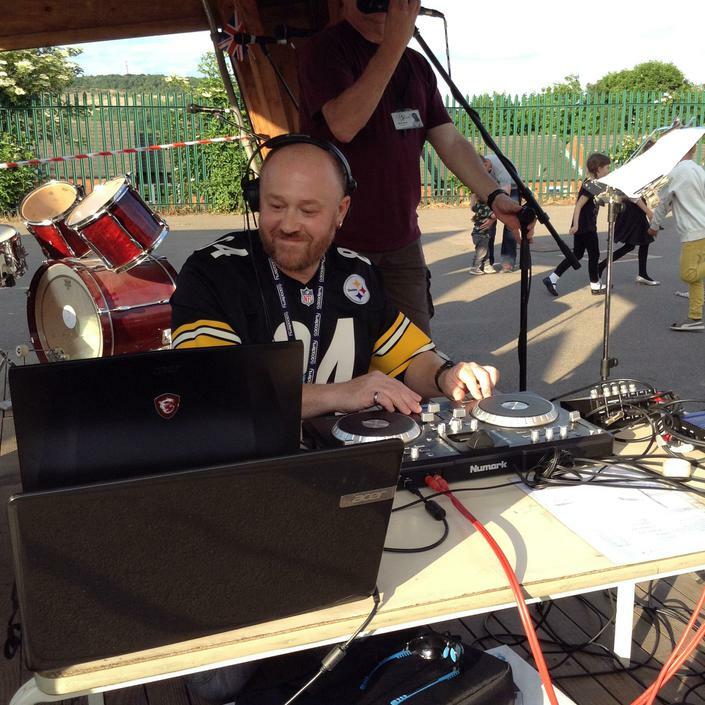 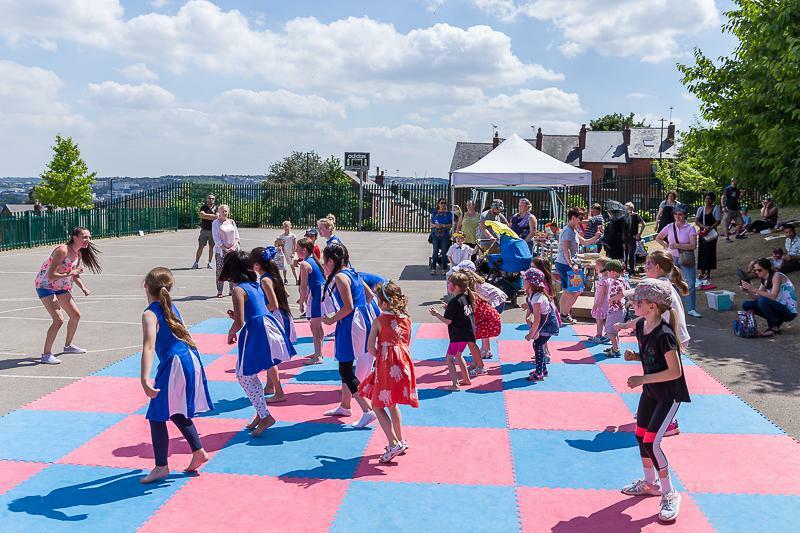 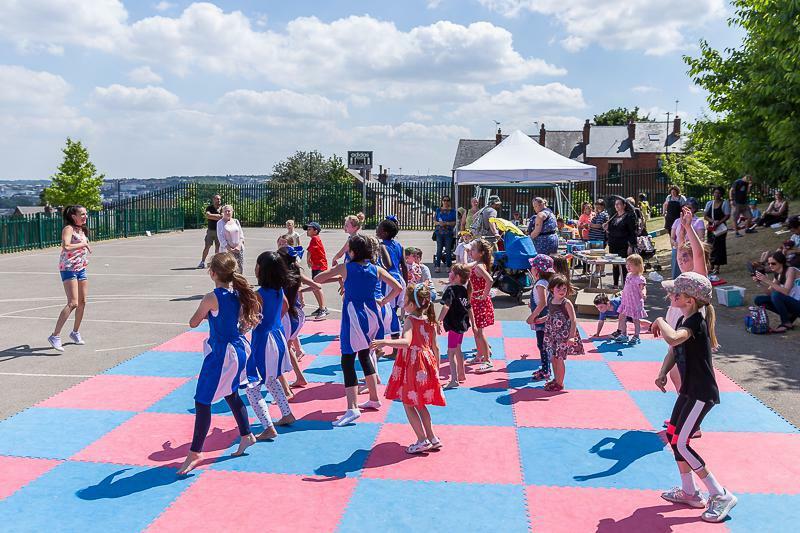 Raising £460 for new musical equipment across school this was undoubtedly one of Walkley Primary's finest ever celebration events. 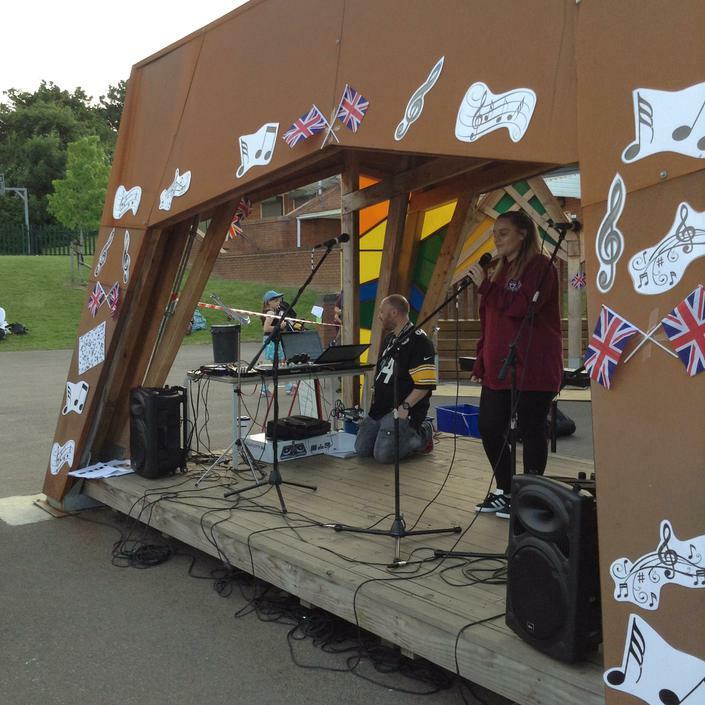 Congratulations and thanks to everyone who helped, performed and attended. 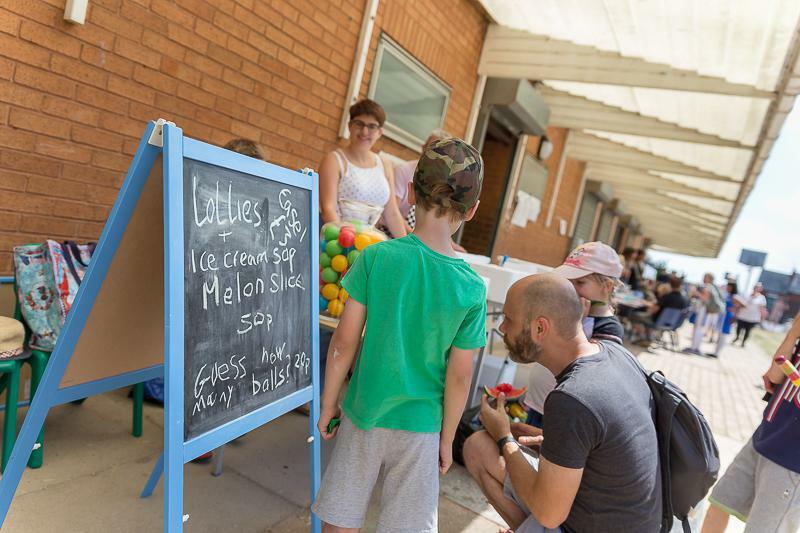 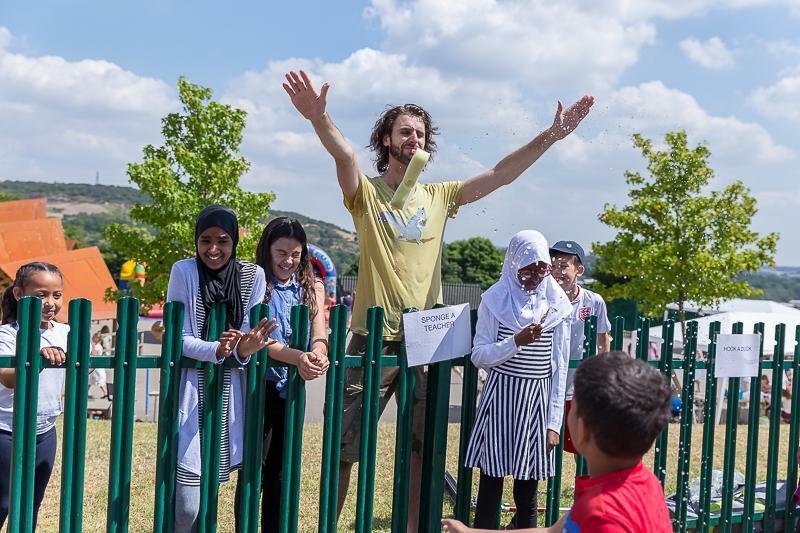 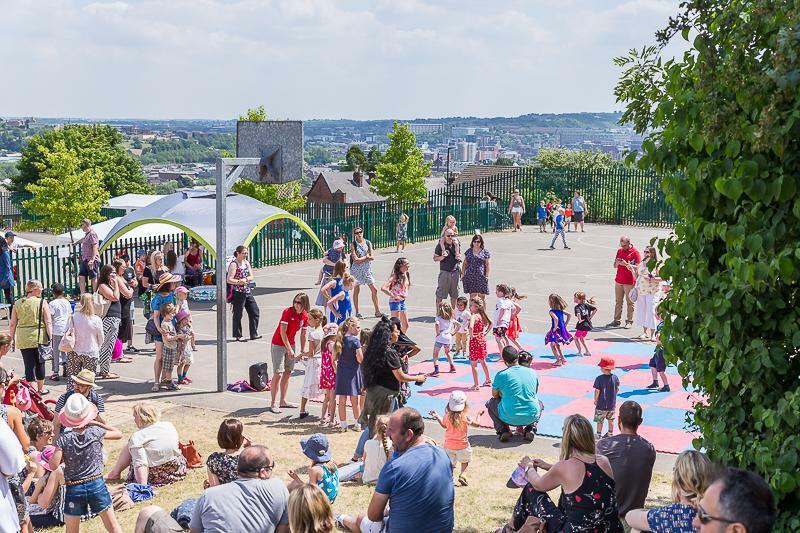 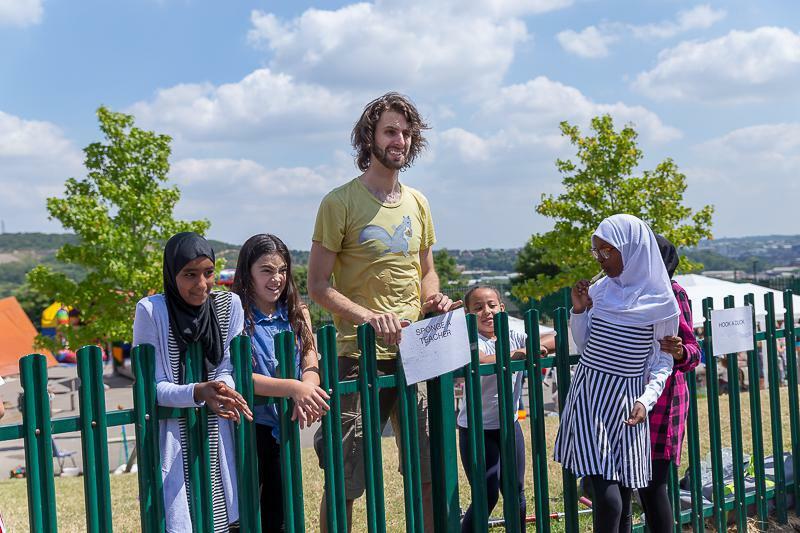 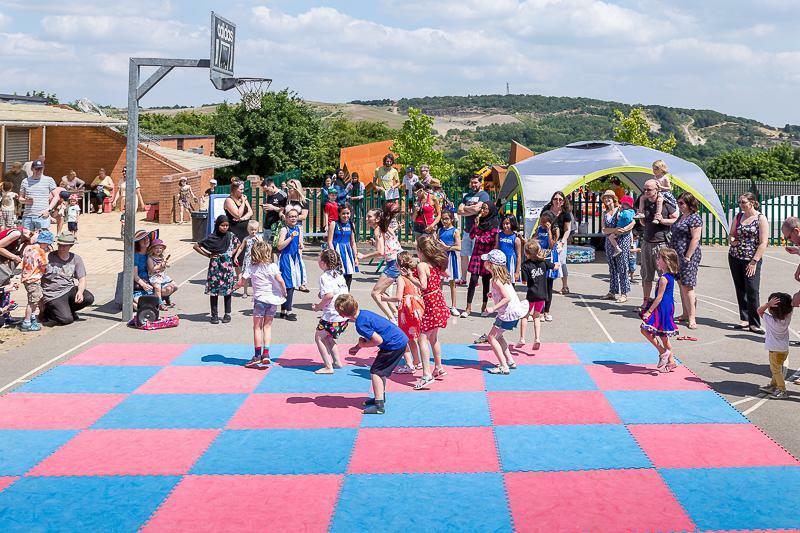 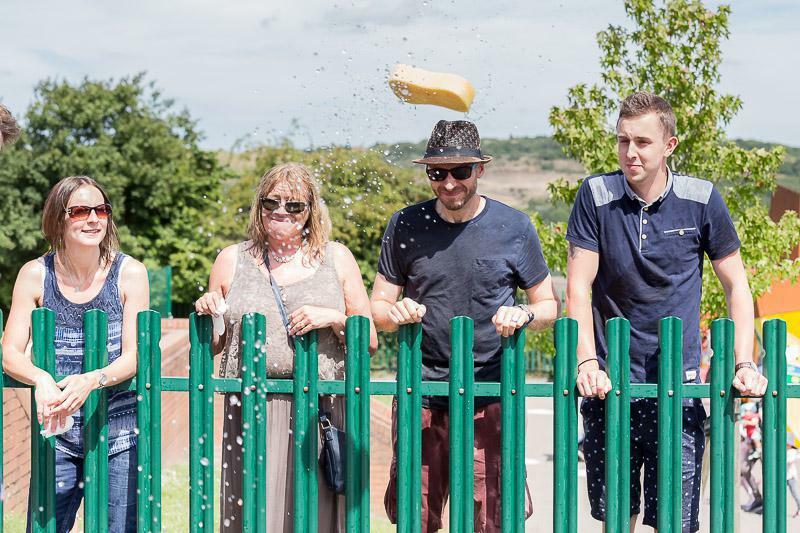 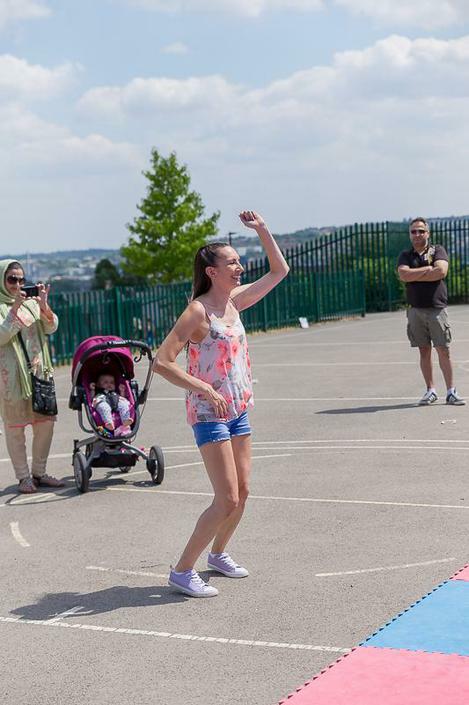 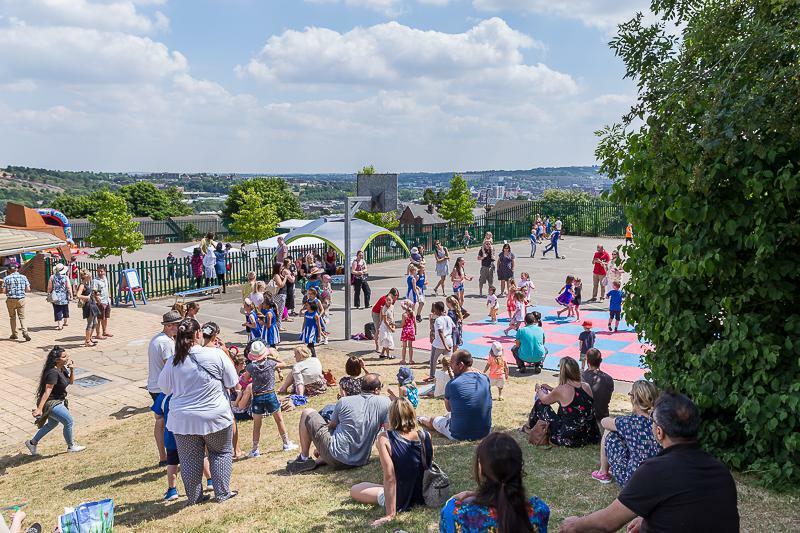 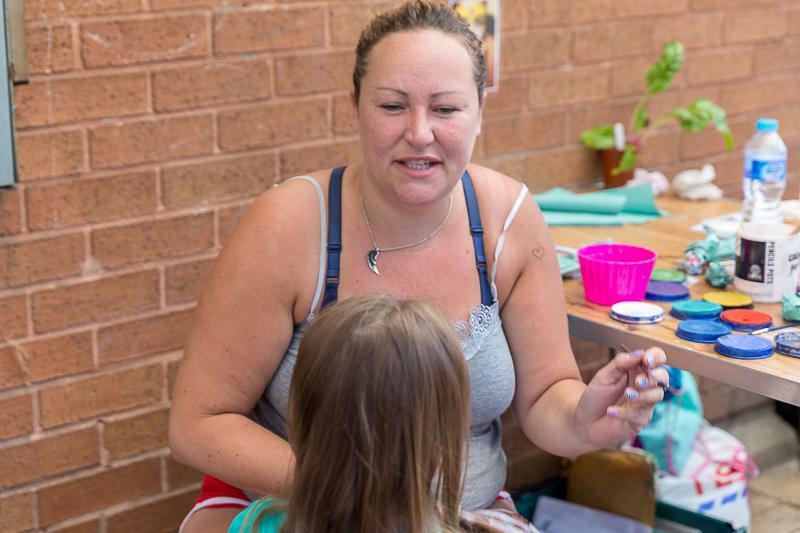 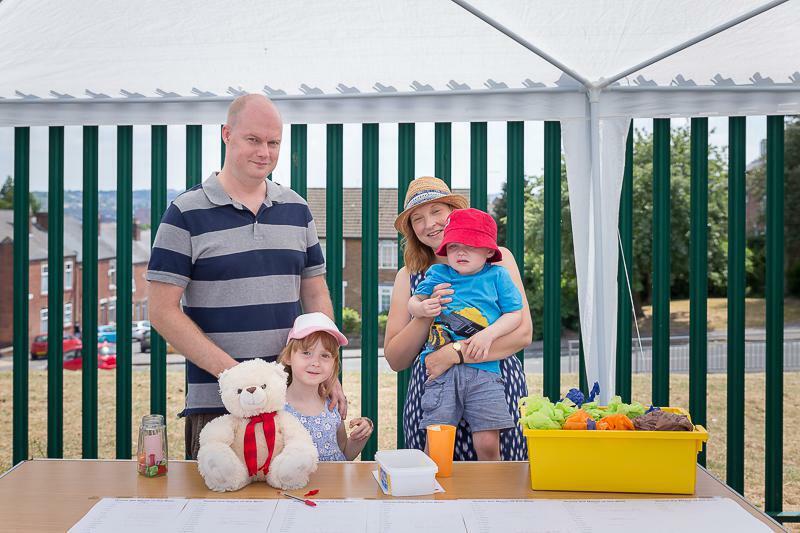 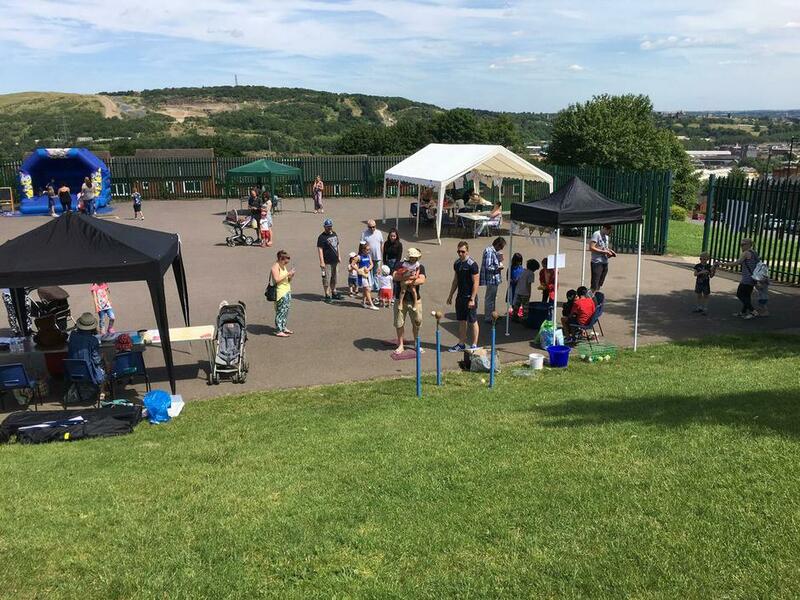 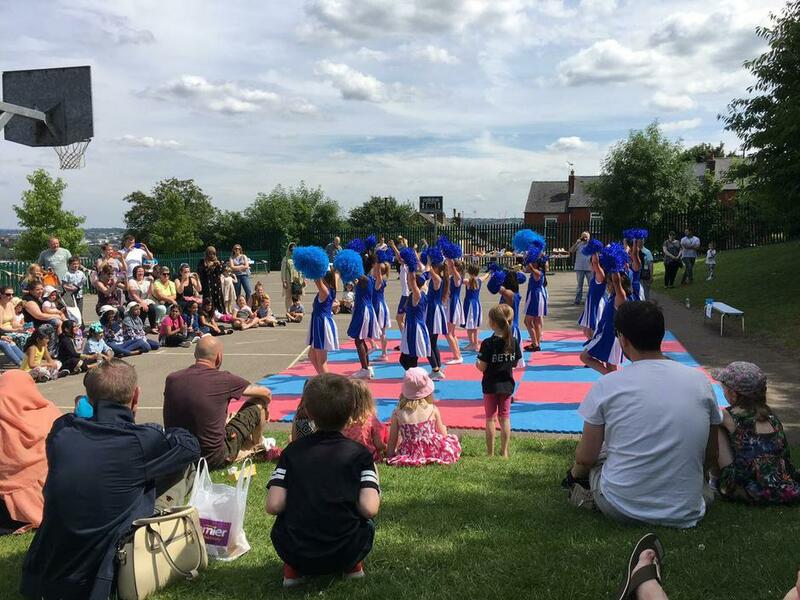 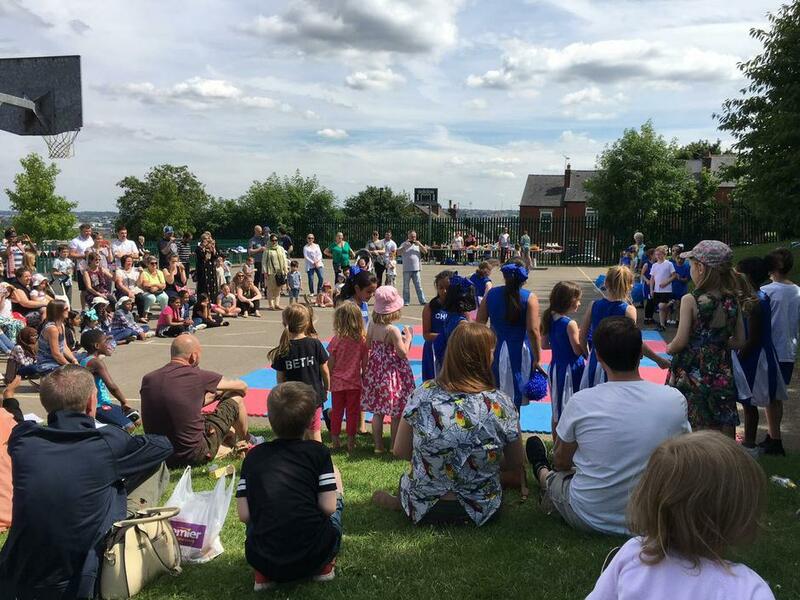 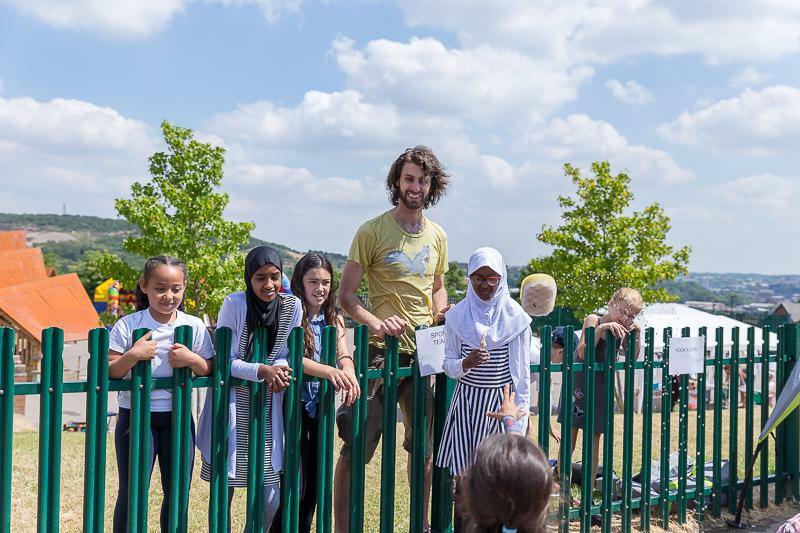 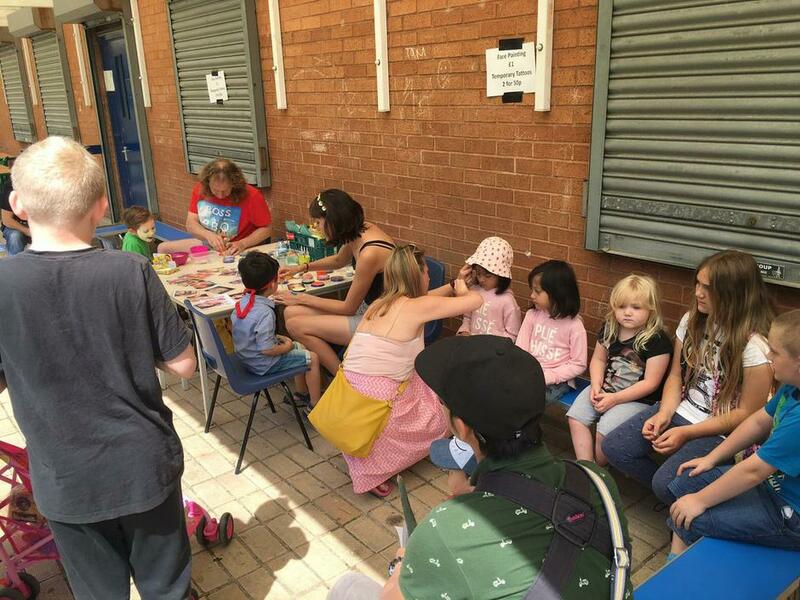 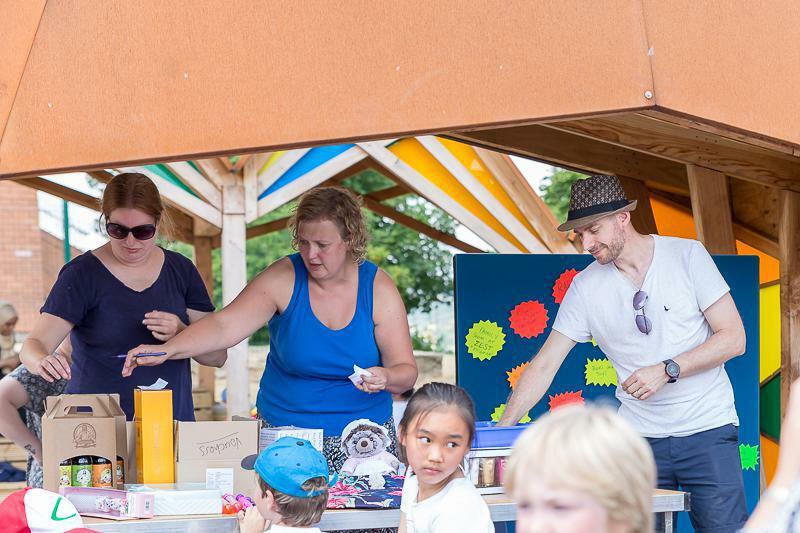 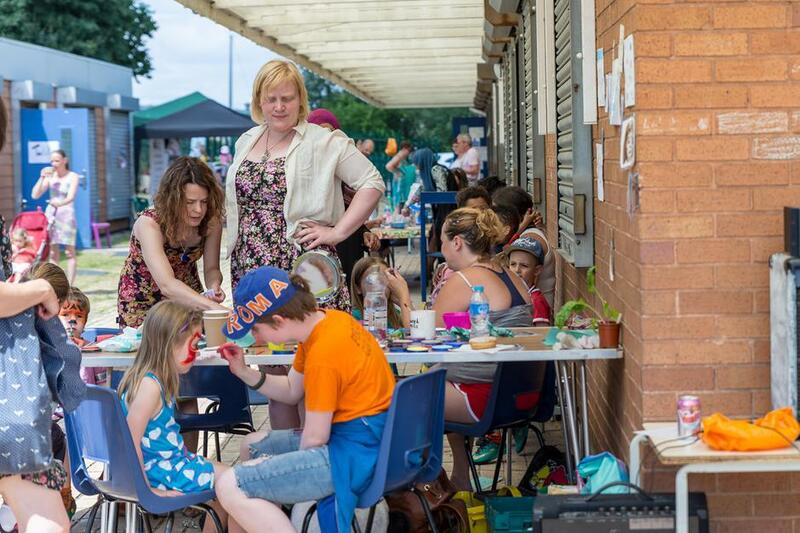 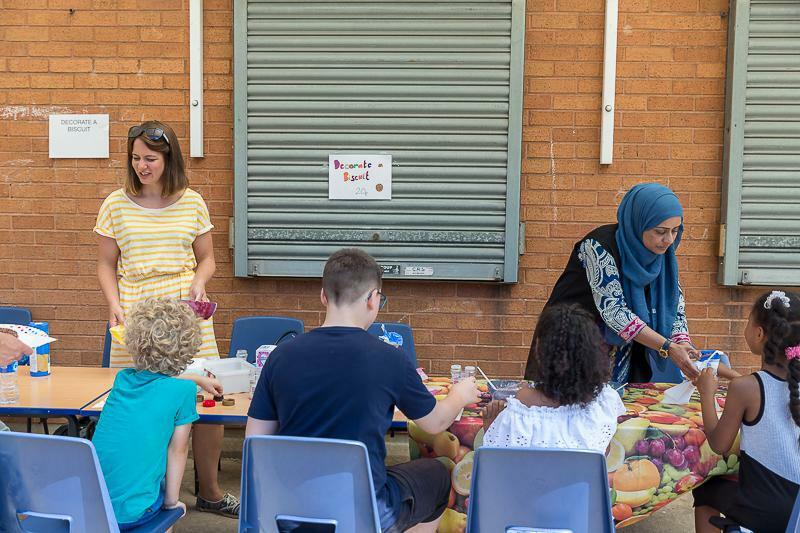 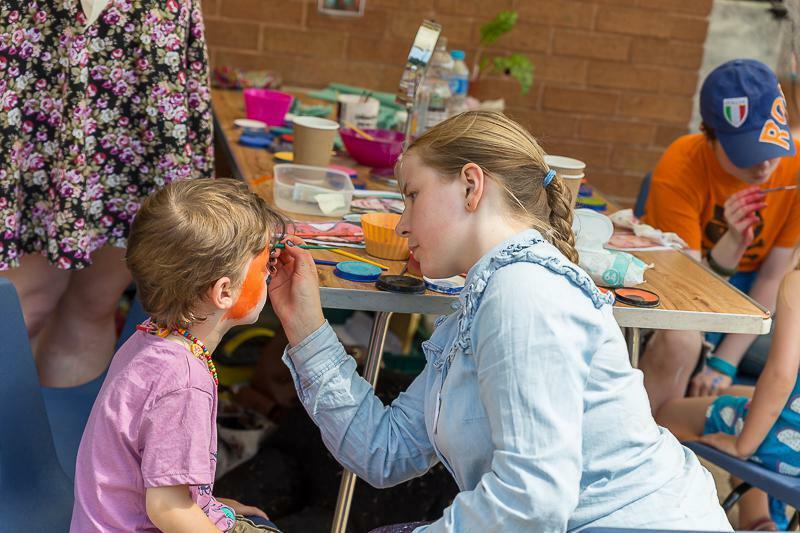 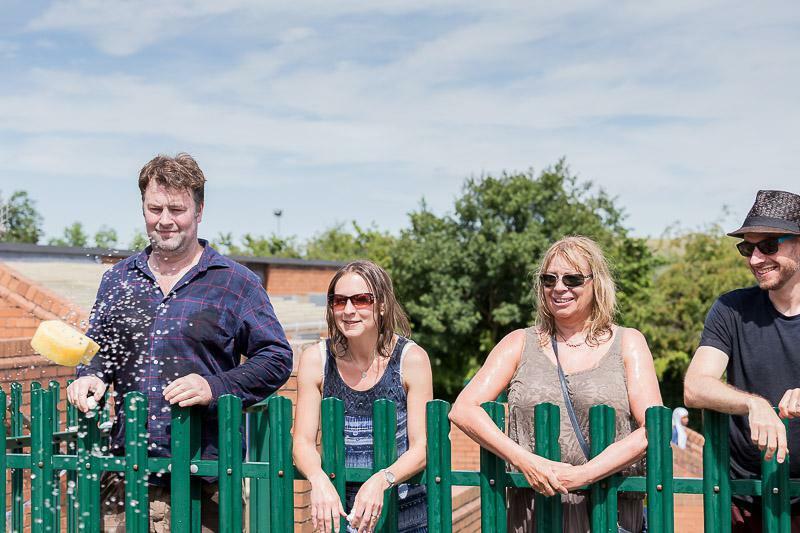 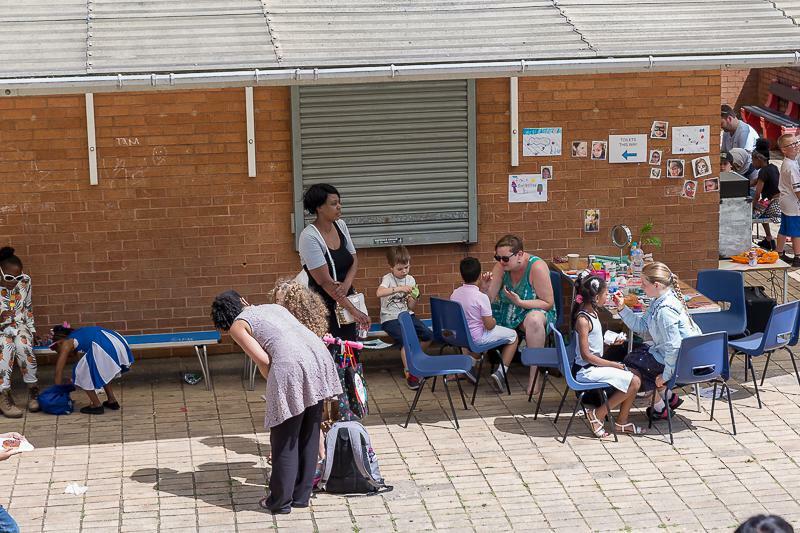 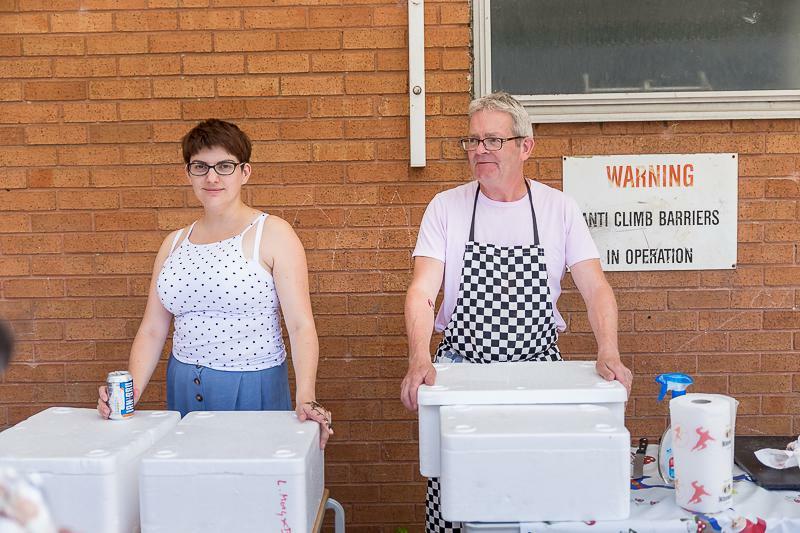 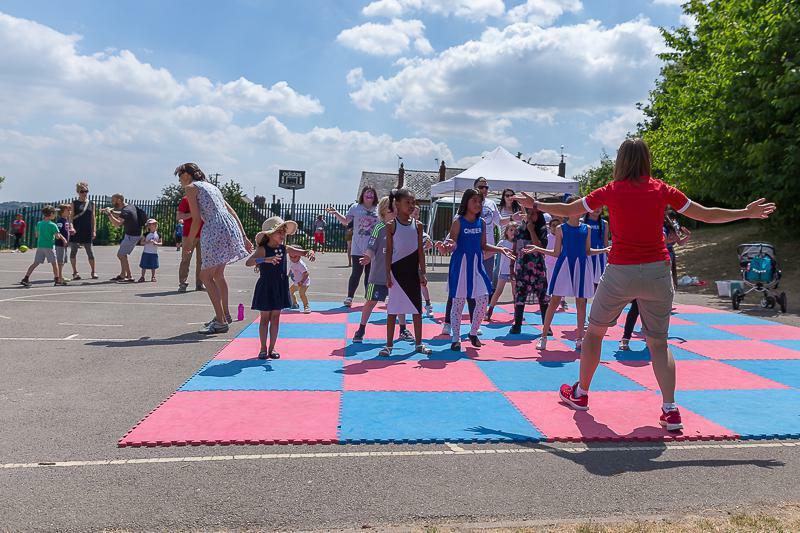 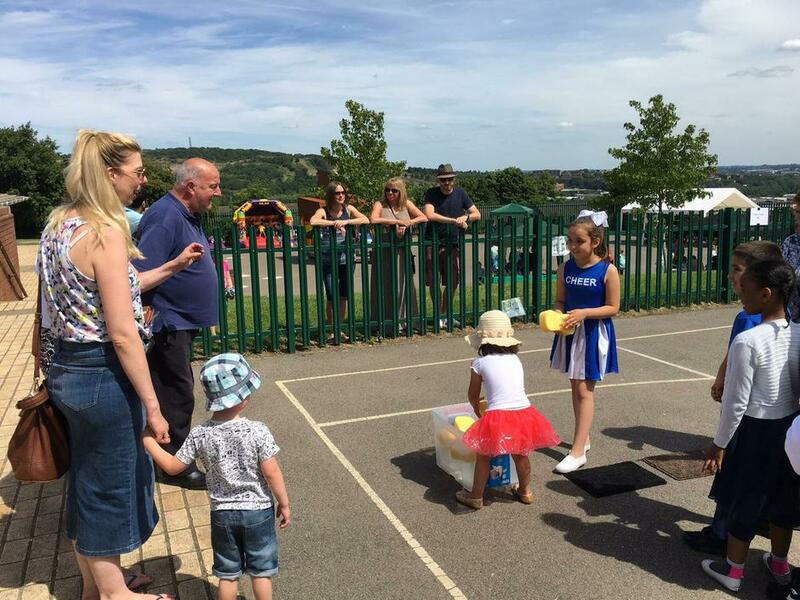 On Saturday afternoon, my family joined the many families of Walkley Community at the annual Walkley Primary School Summer Fair. 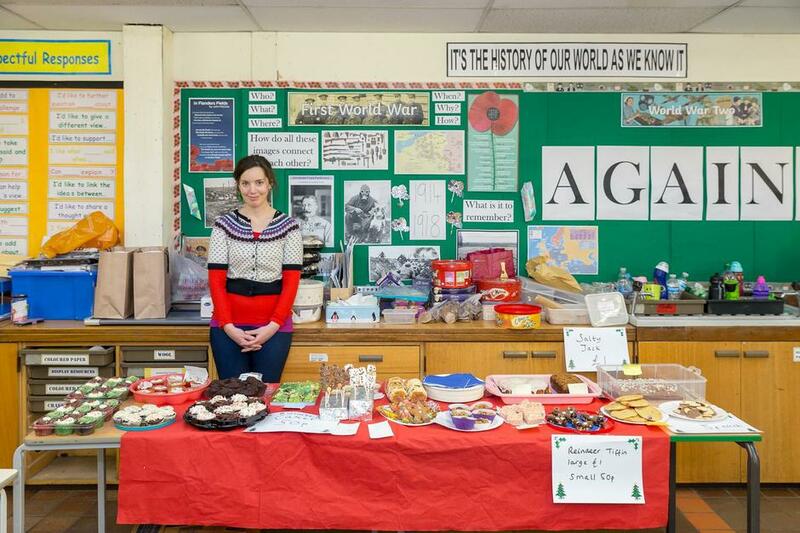 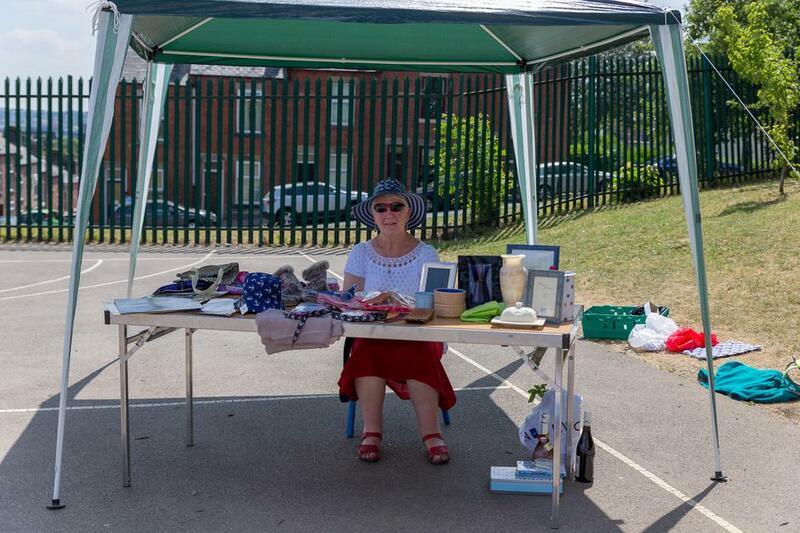 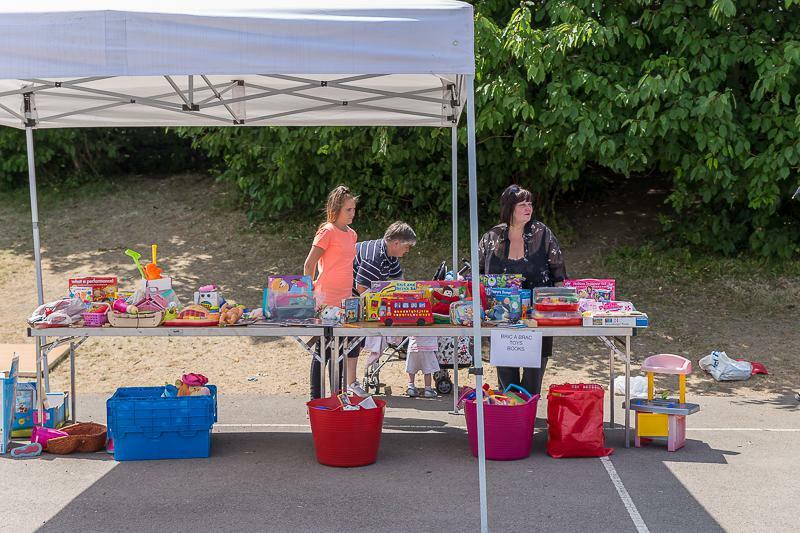 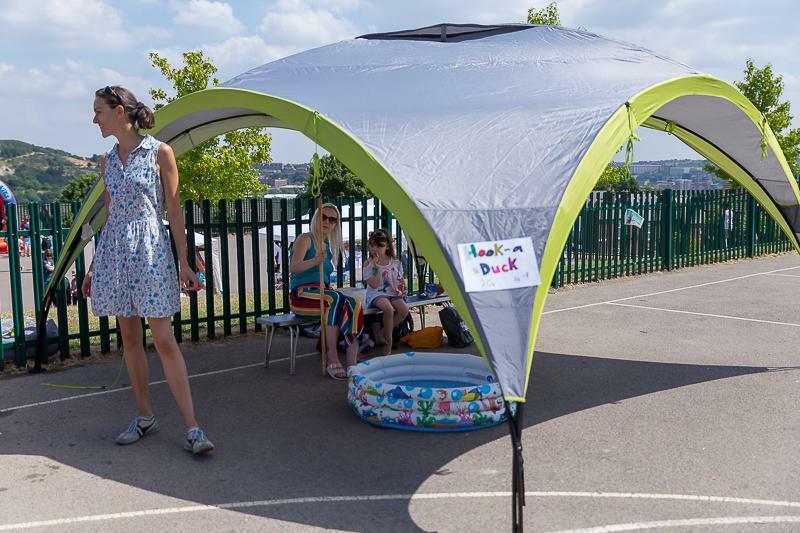 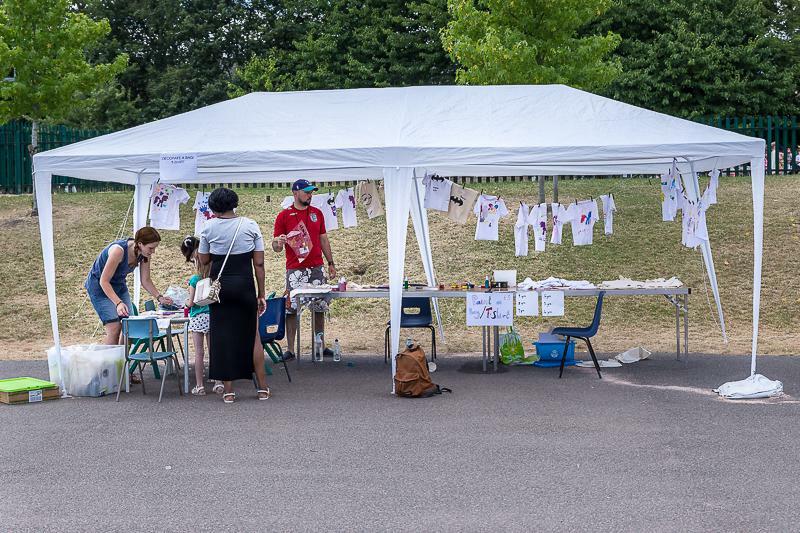 Organised by the wonderful Friends of Walkley, lots of exciting stalls were pitched around the upper school grounds, raising lots of valuable funds for our school and pupils. 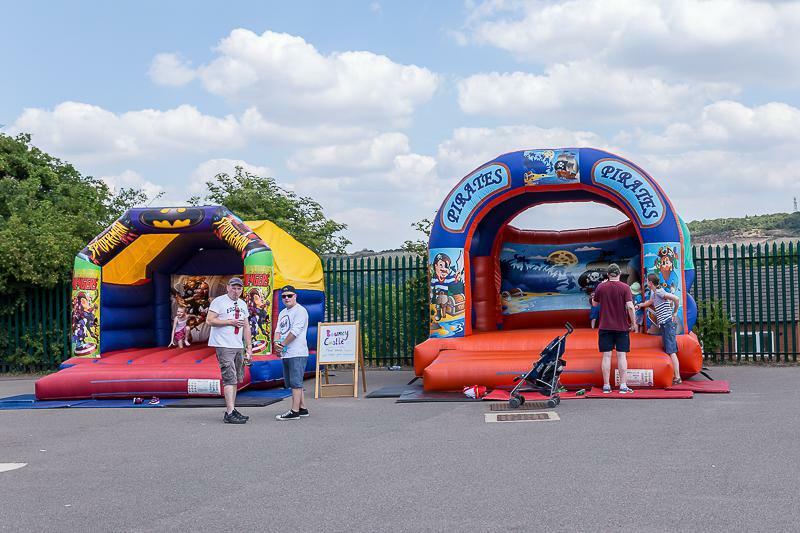 This year, on what was a beautiful afternoon of sunshine, as well as the traditional long queue for face painting, guests could also have their nails painted, meet Princess Poppy or Chase, decorate T shirts, hook ducks, negotiate the bouncy castles, estimate the number of Lego bricks used to build the bear, or join in any of the other exciting activities; everybody had fun. 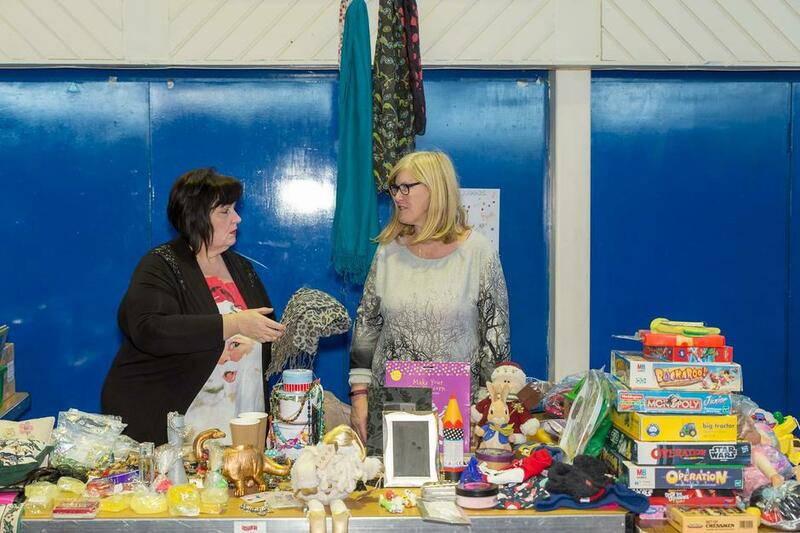 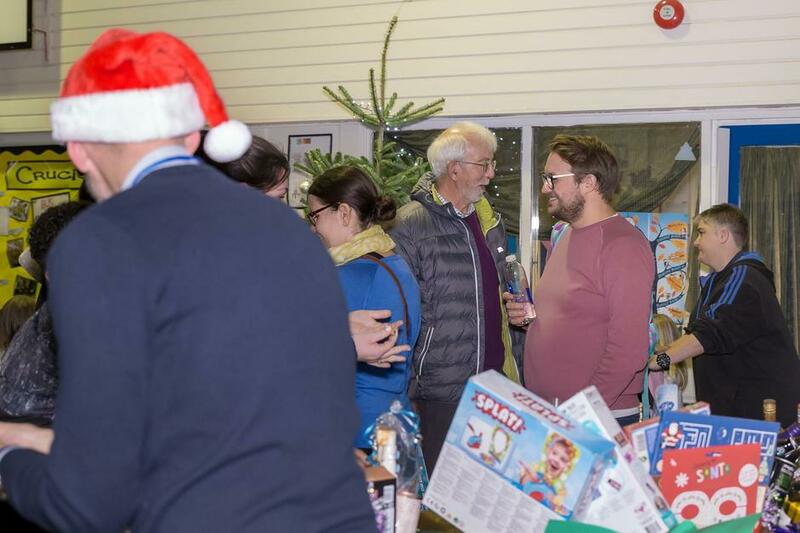 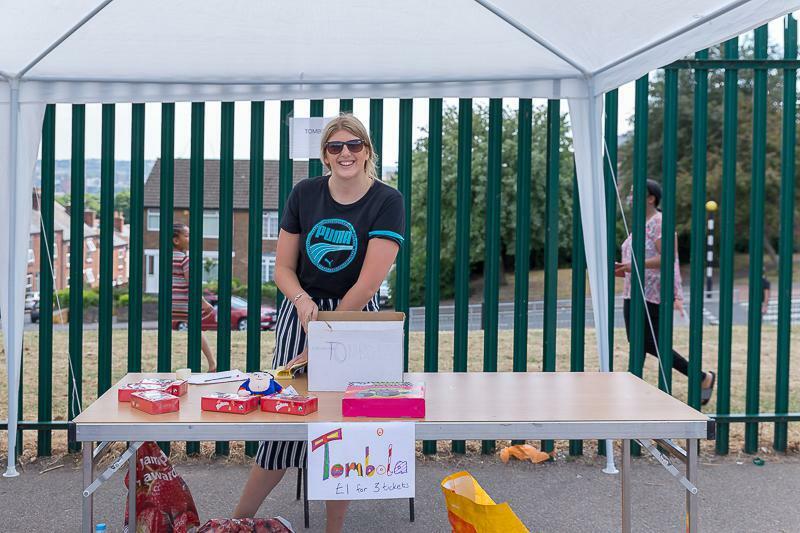 By taking a chance on the tombola or the raffle, or spending big on the many stalls full of fabulous wares, we managed to raise an amazing amount of money. 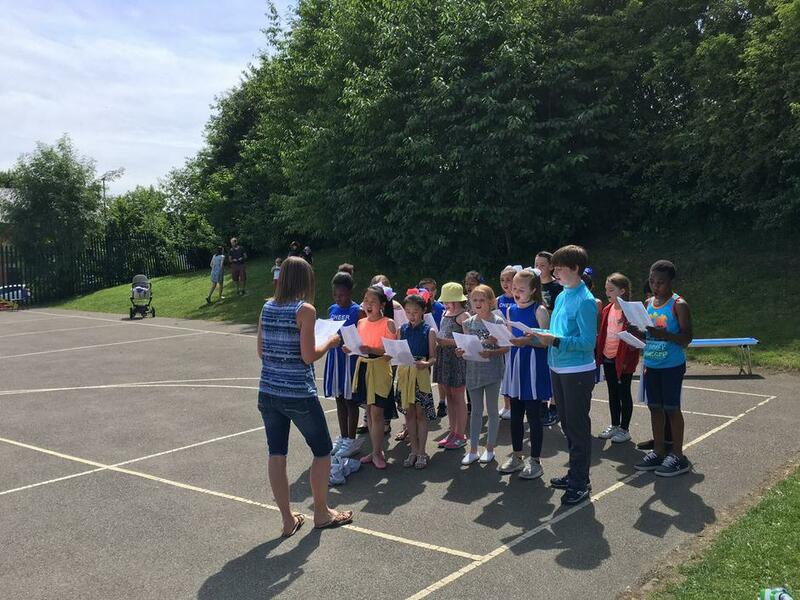 There was also a terrific display by the Walkley Cheerleading Troop and Walkley Primary School Choir to behold. 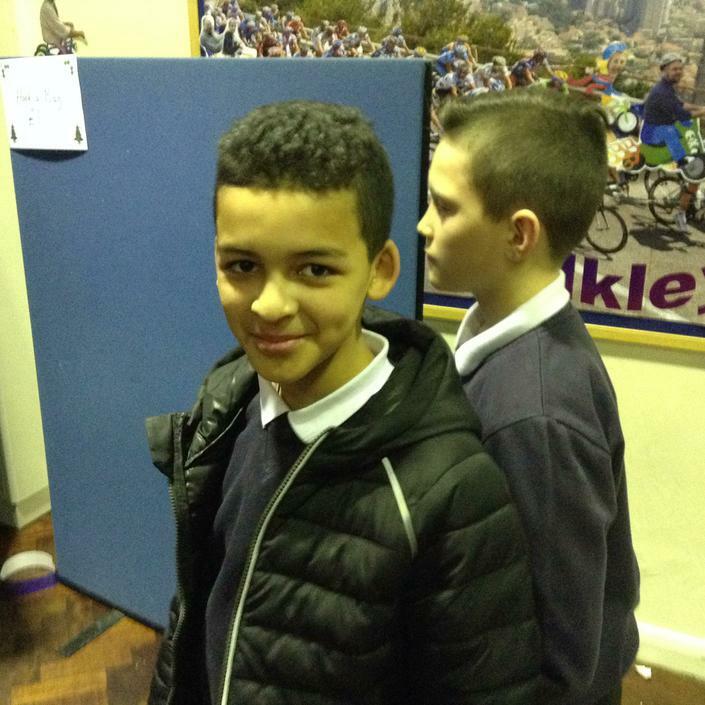 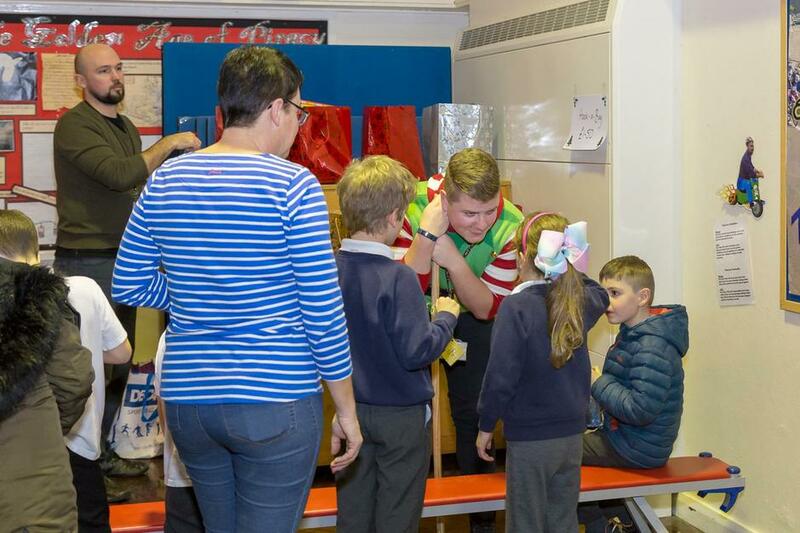 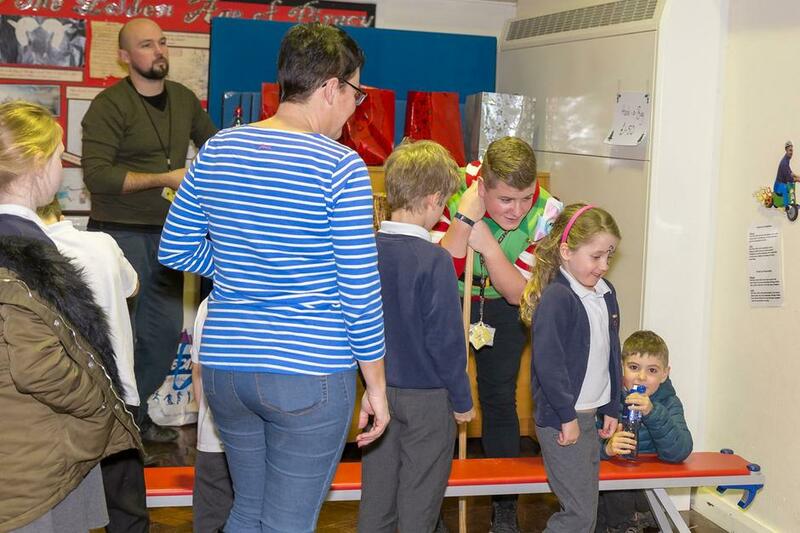 In addition, I have noticed that the queue for 'Soak the teacher with a sponge' didn't relent for quite some time, my own son eagerly joining that particular queue! 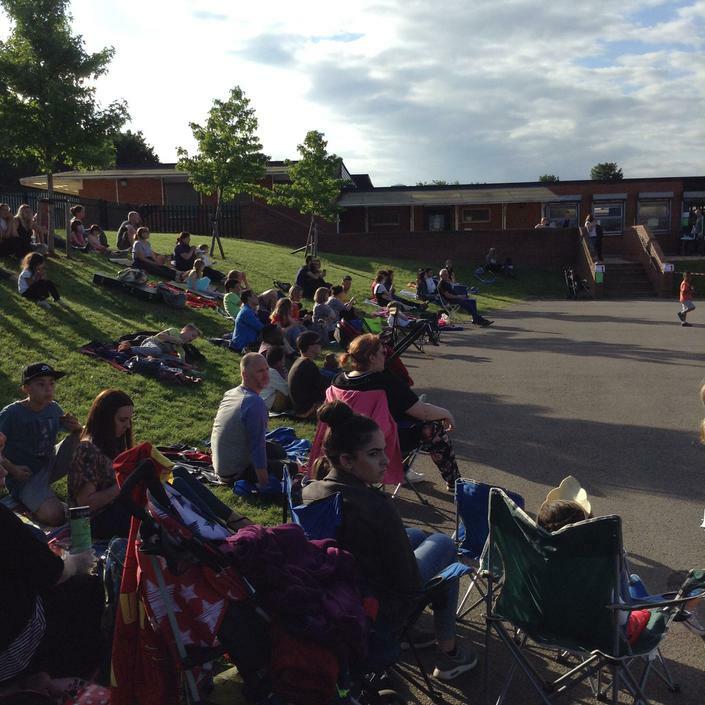 We send out a huge marshmallow clap from all the pupils and staff to our marvellous volunteers and helpers who make these days so special. 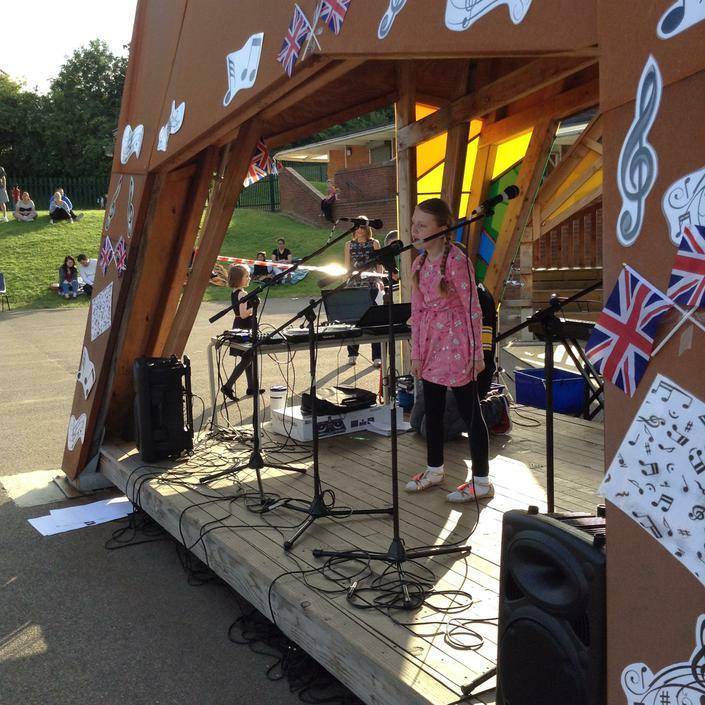 Once again you did us proud!